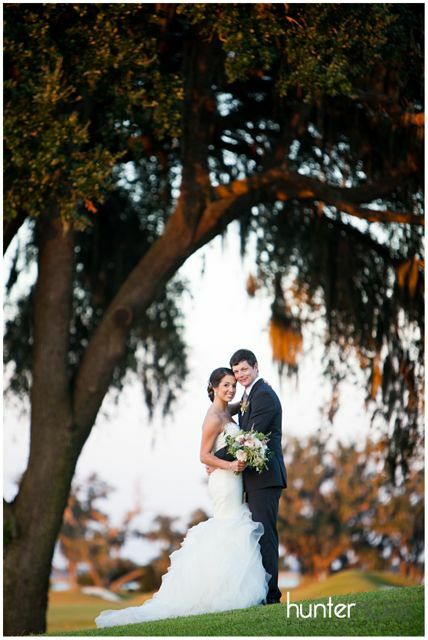 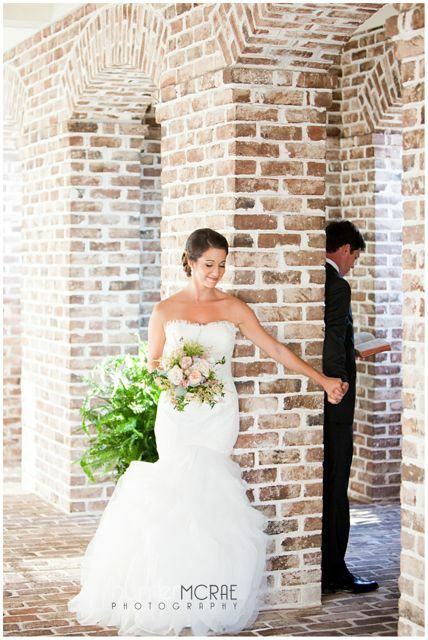 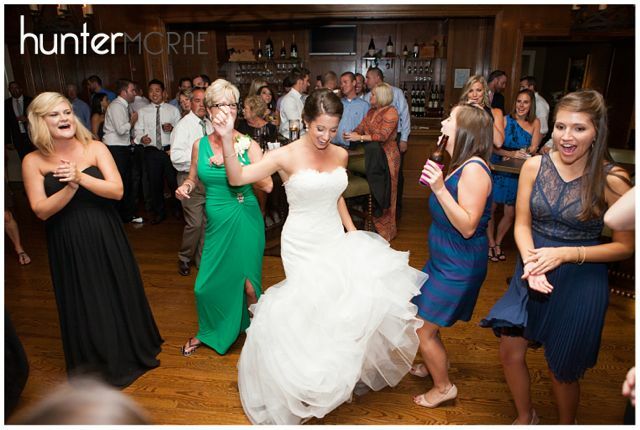 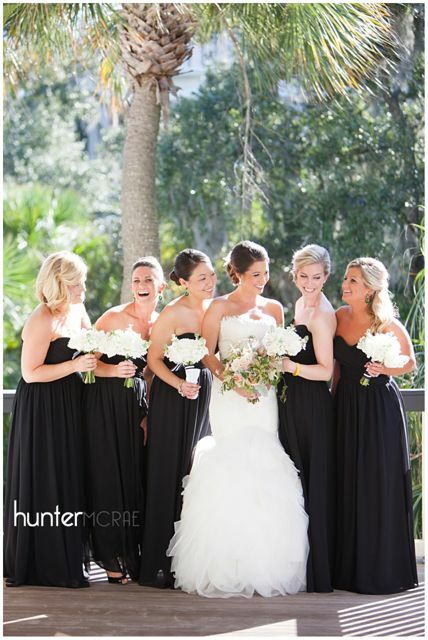 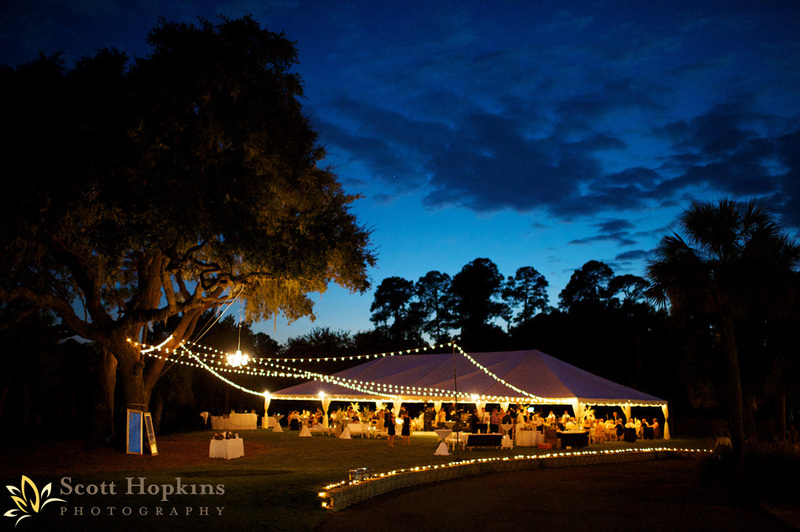 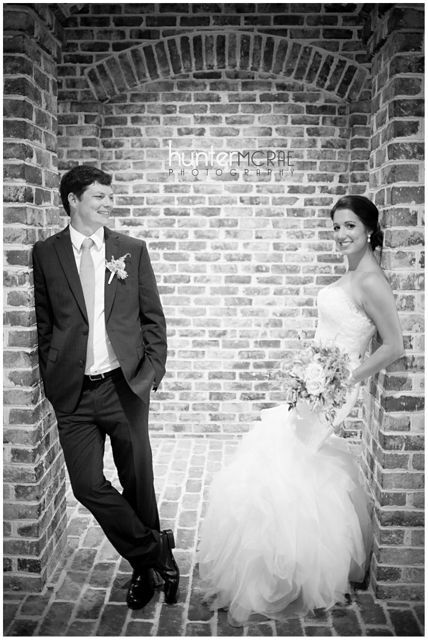 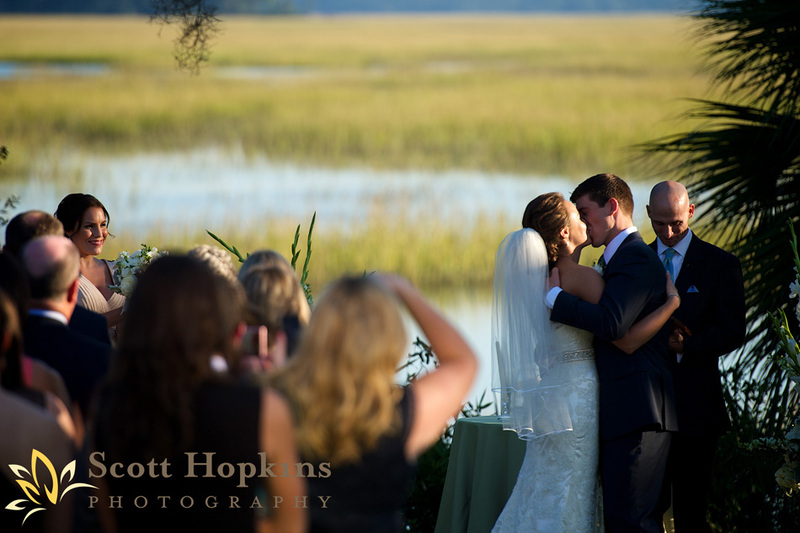 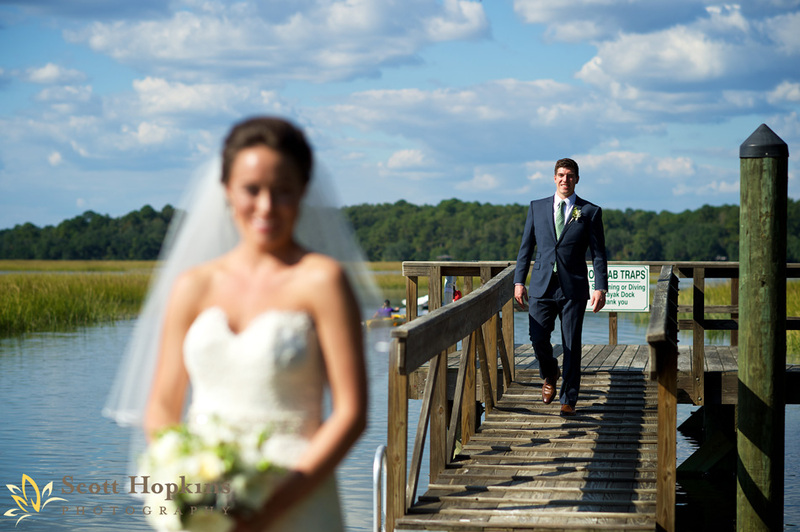 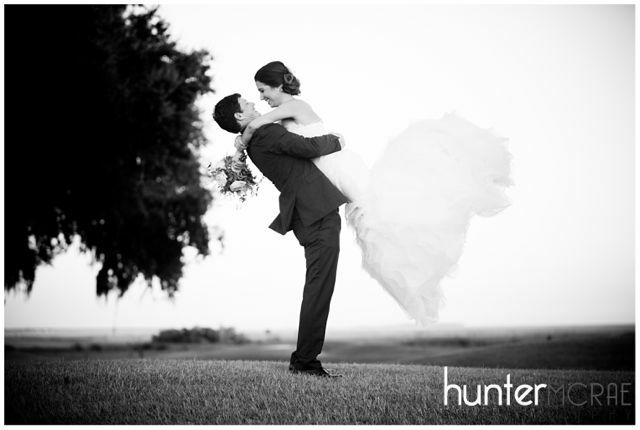 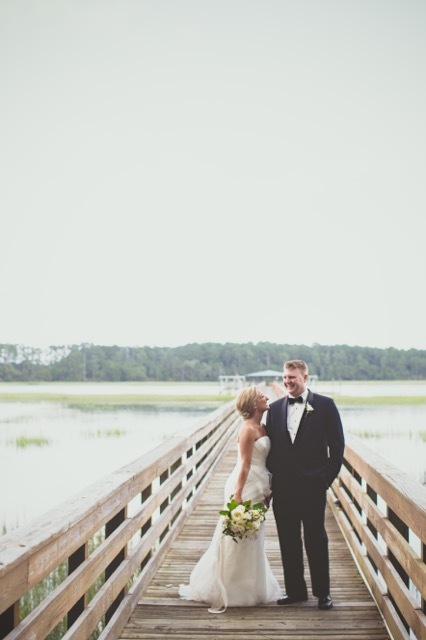 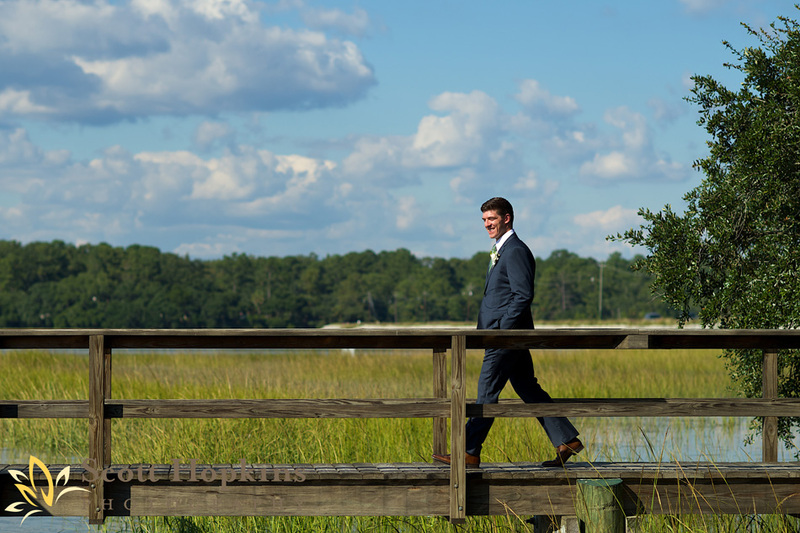 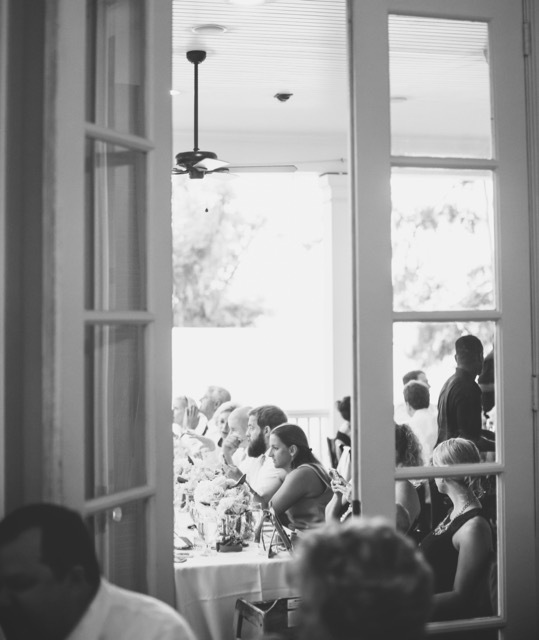 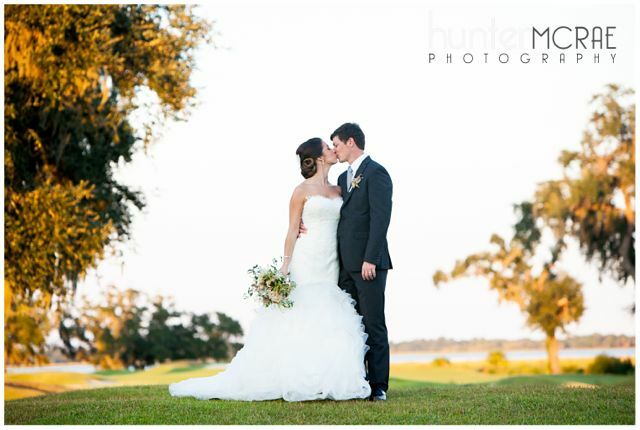 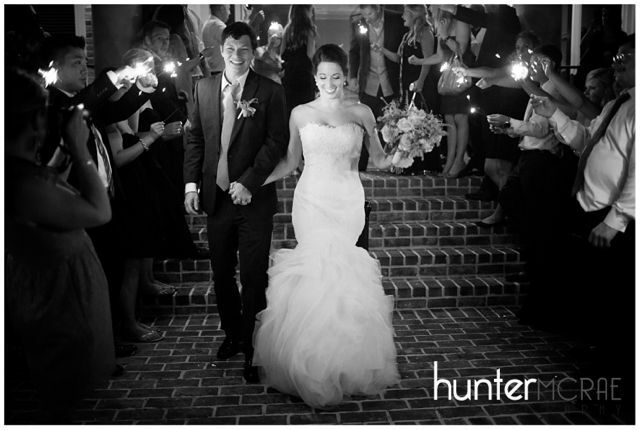 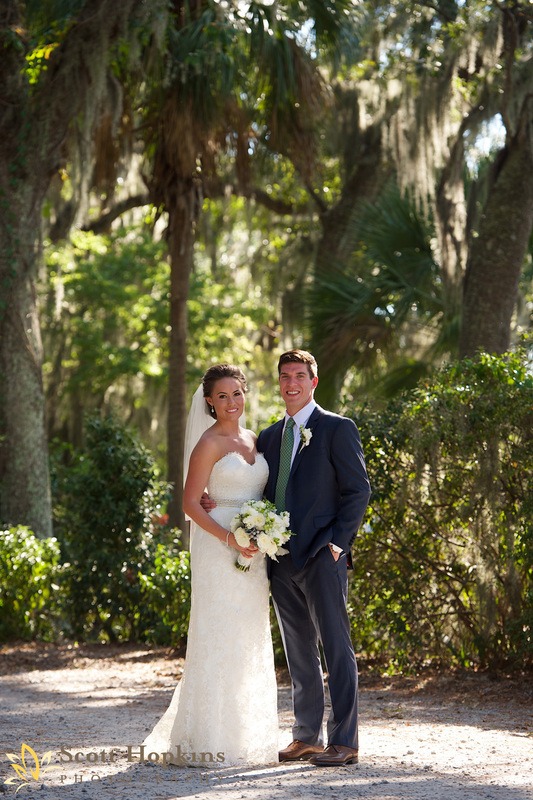 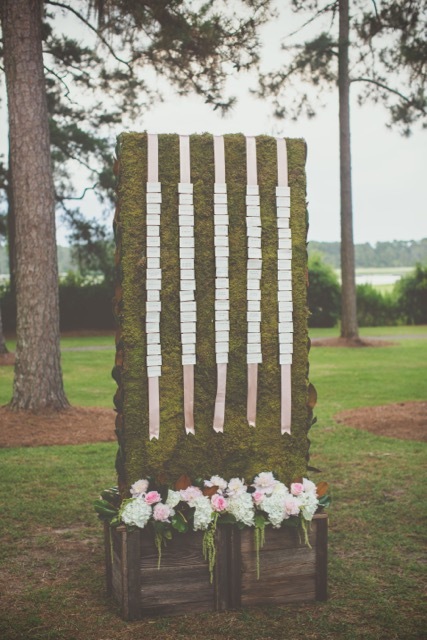 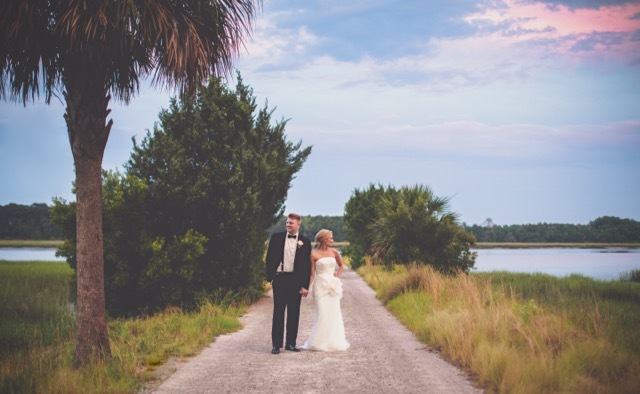 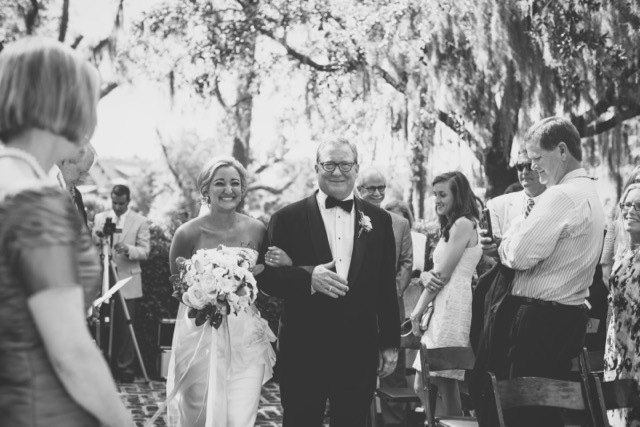 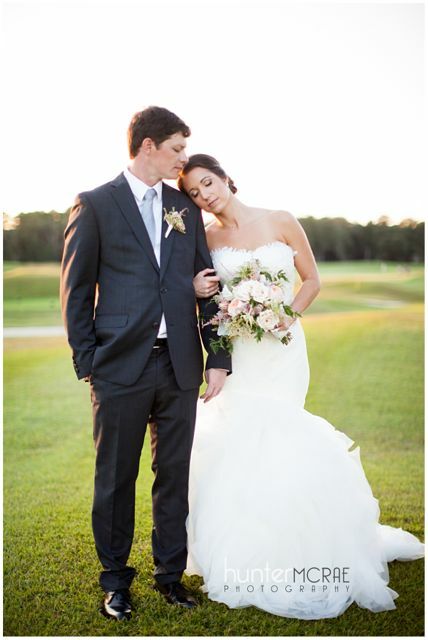 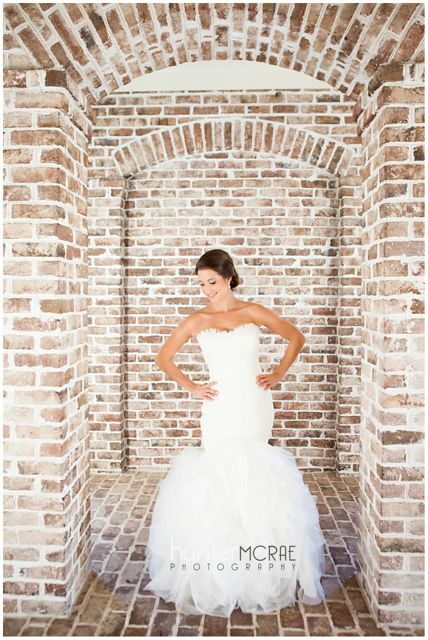 Liz and Scott were married at beautiful Colleton River Plantation on Saturday, October 5, 2013. 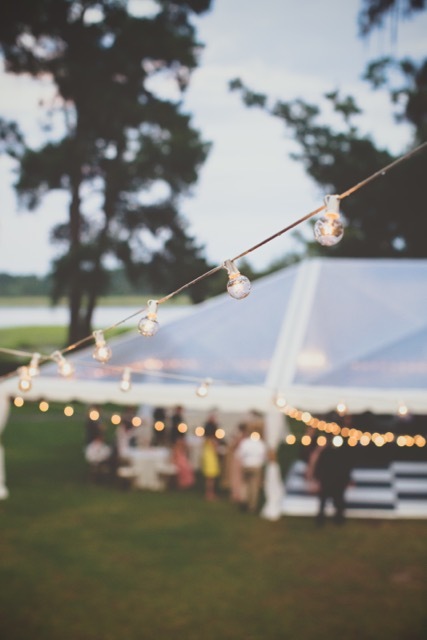 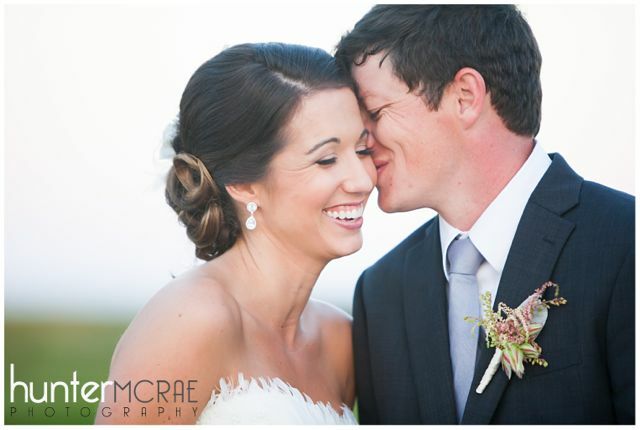 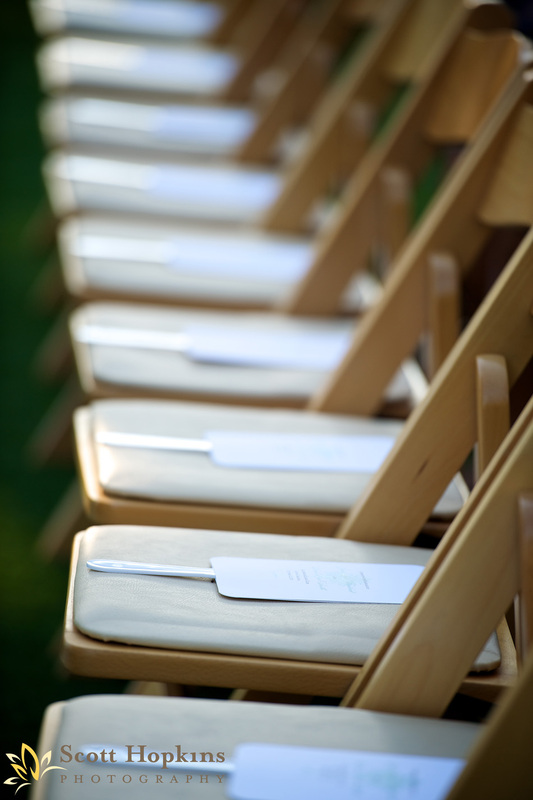 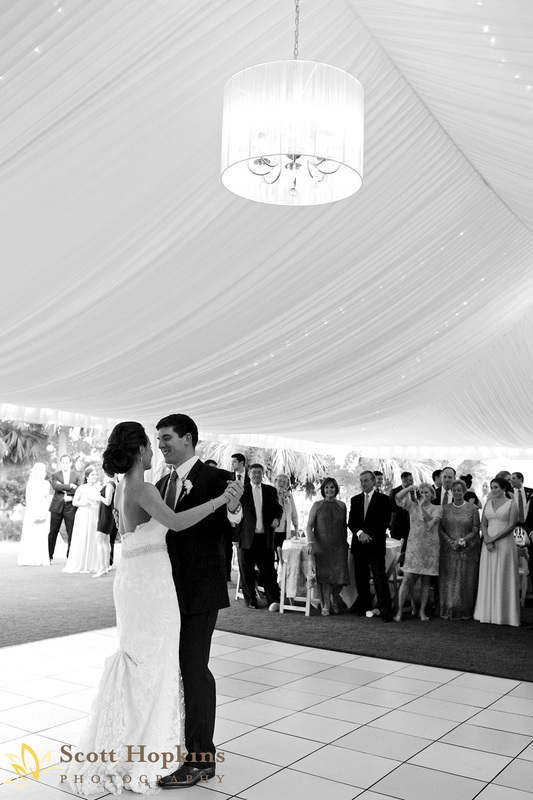 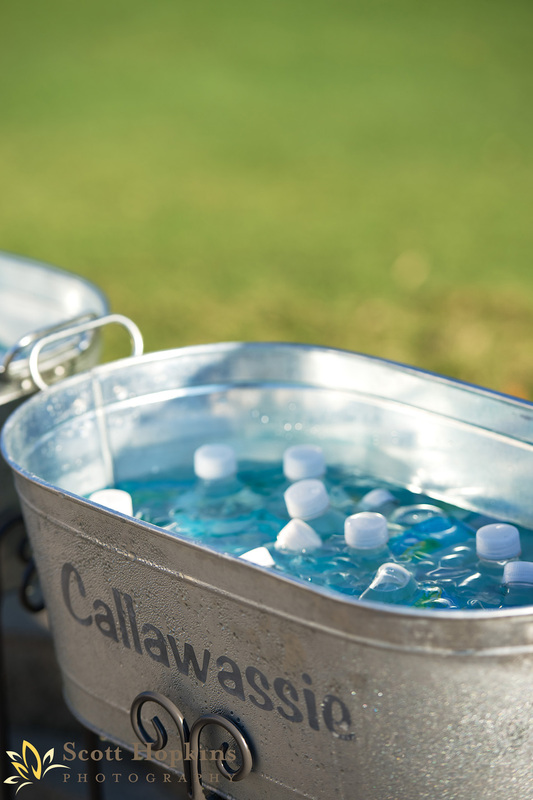 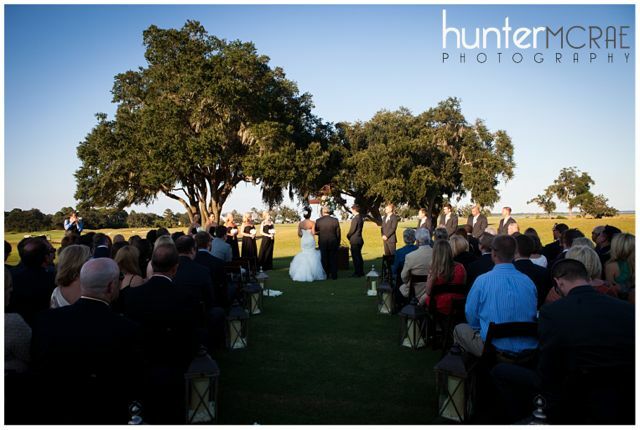 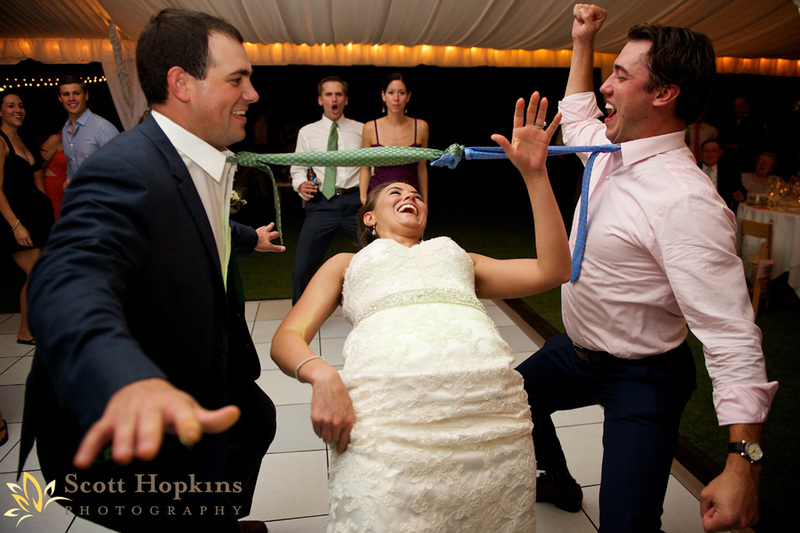 Their ceremony took place on the lawn of the Dye Clubhouse. 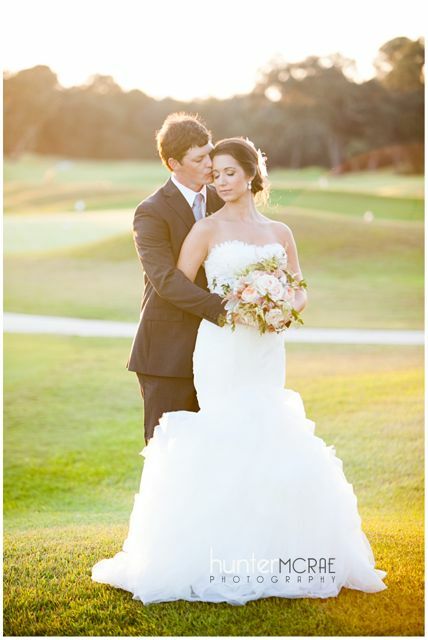 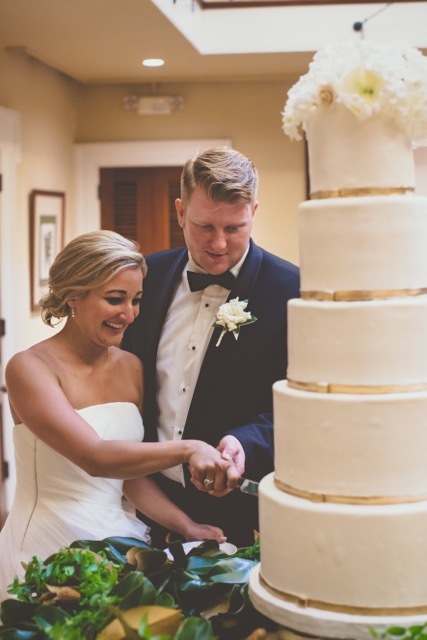 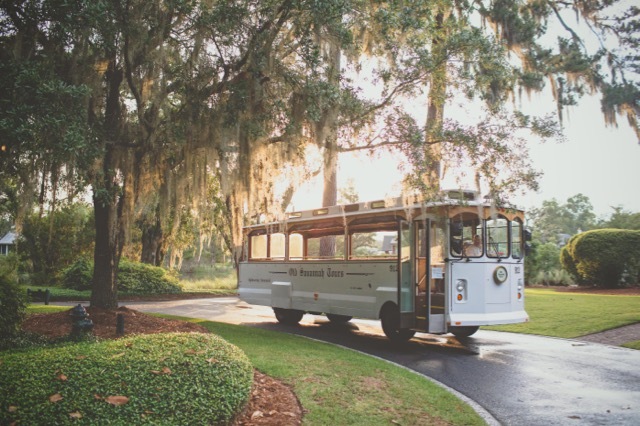 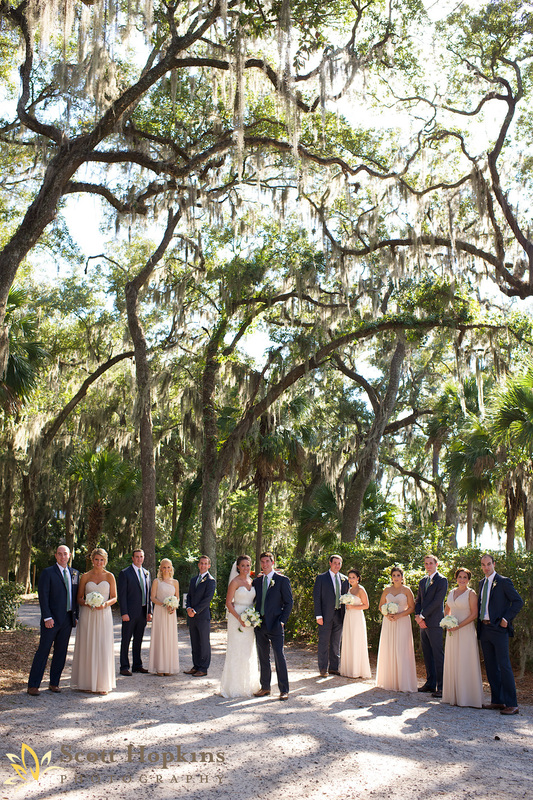 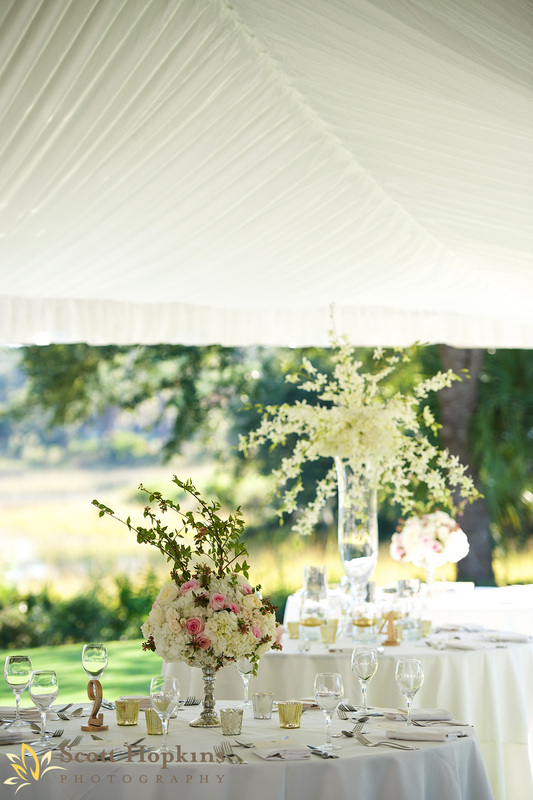 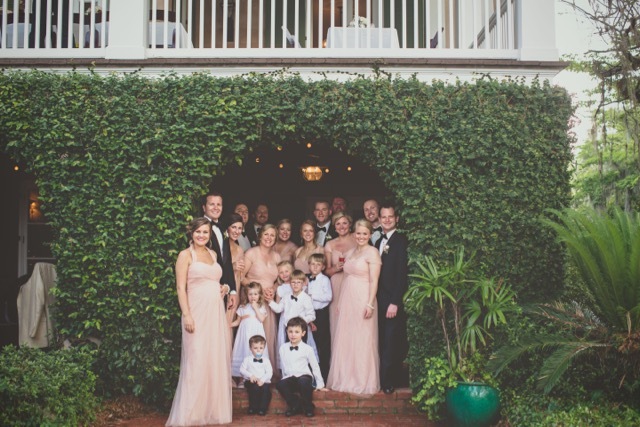 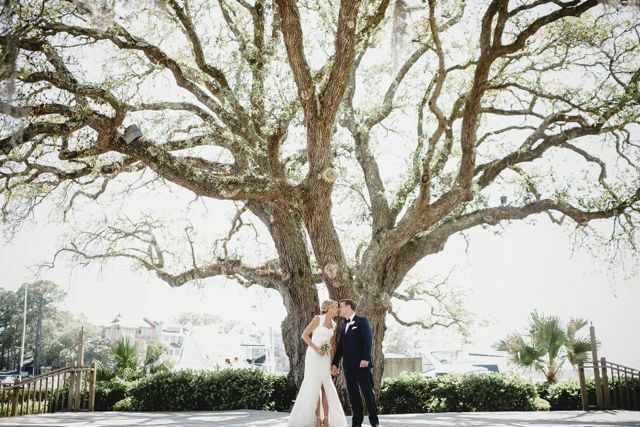 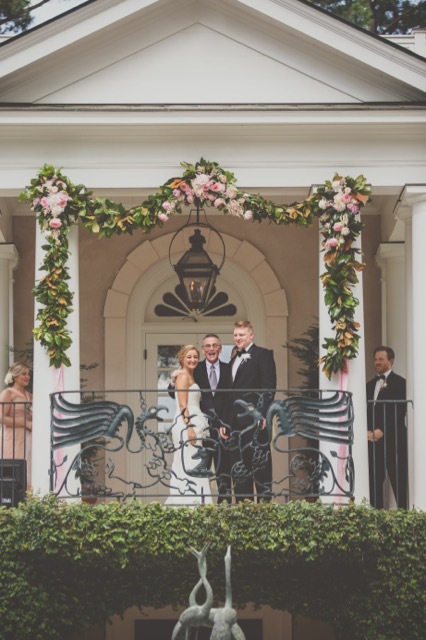 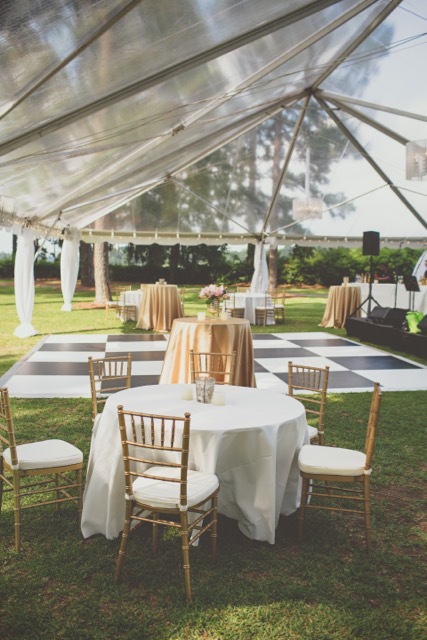 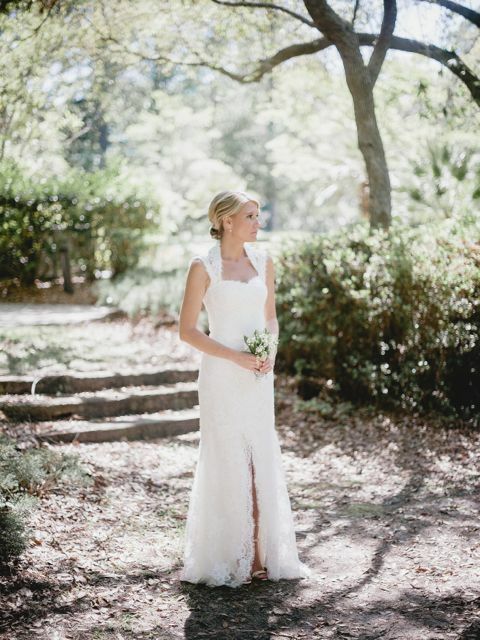 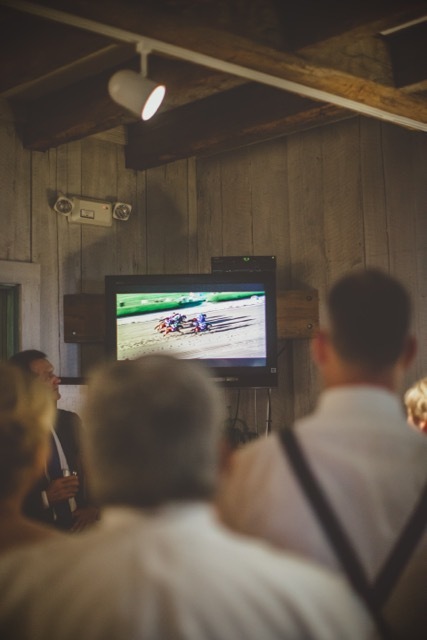 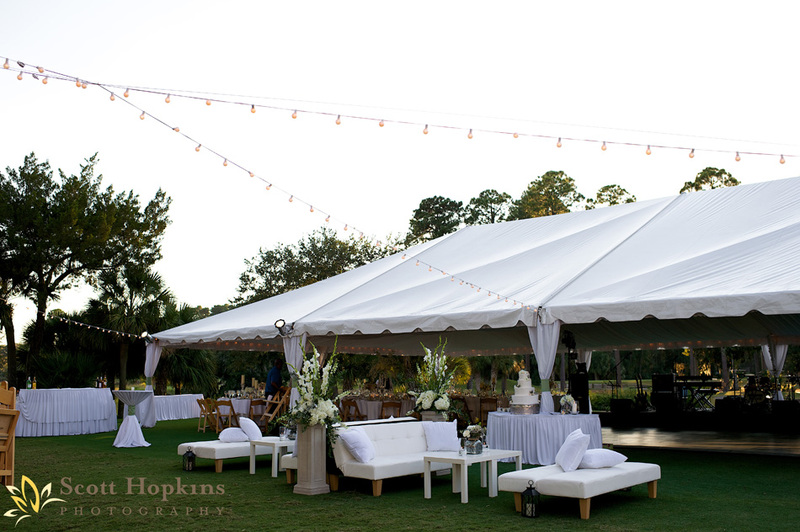 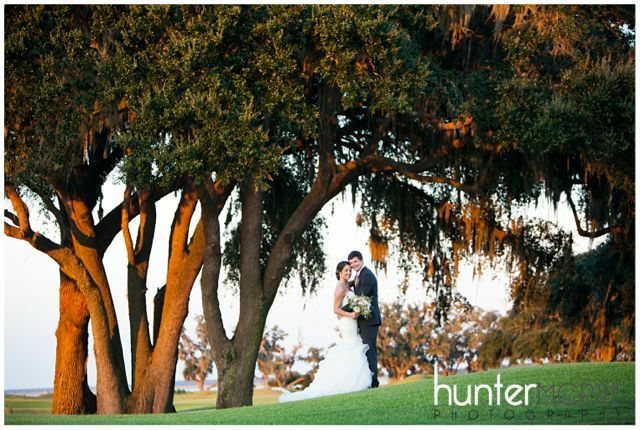 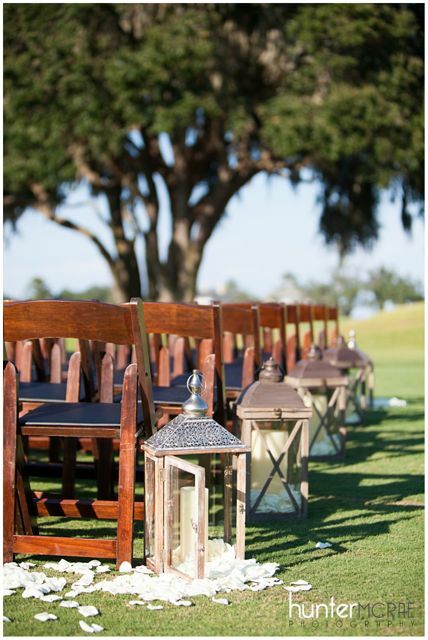 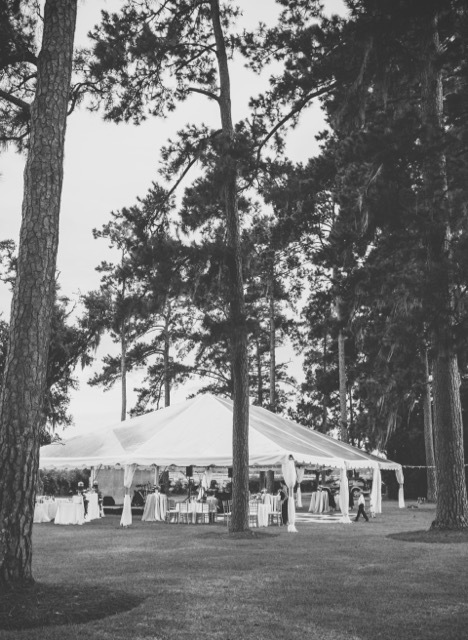 The large oaks created a picture perfect backdrop as they tied the knot with David Leininger. 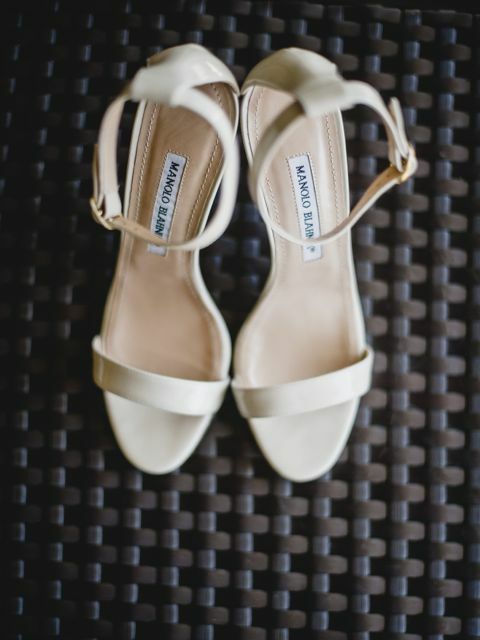 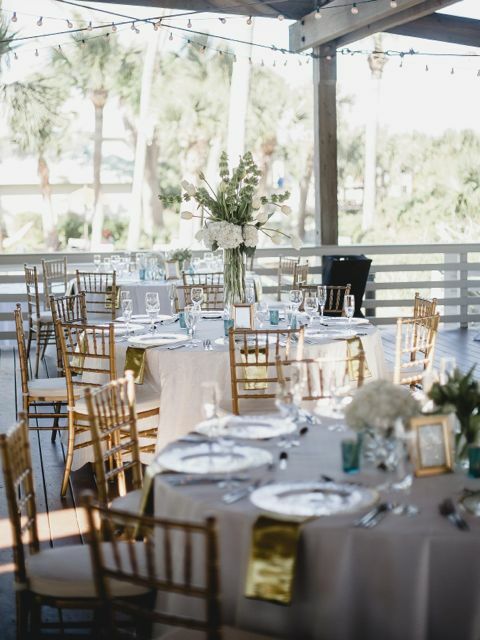 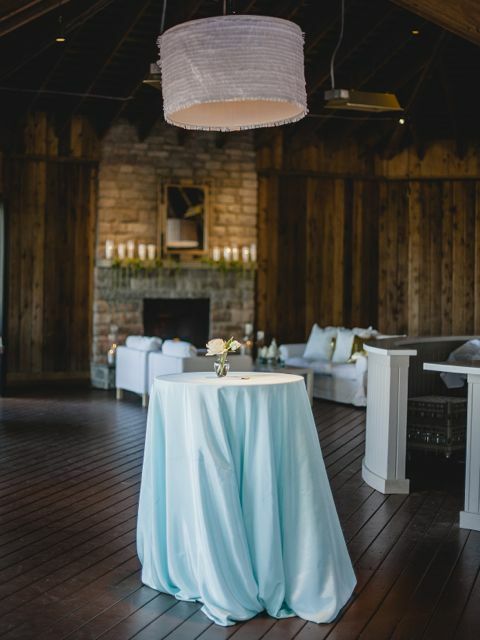 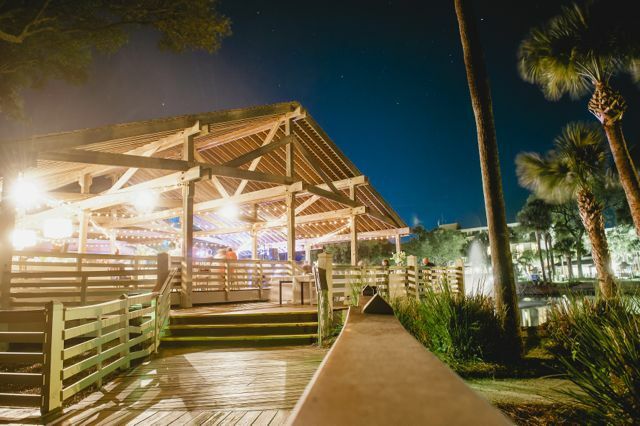 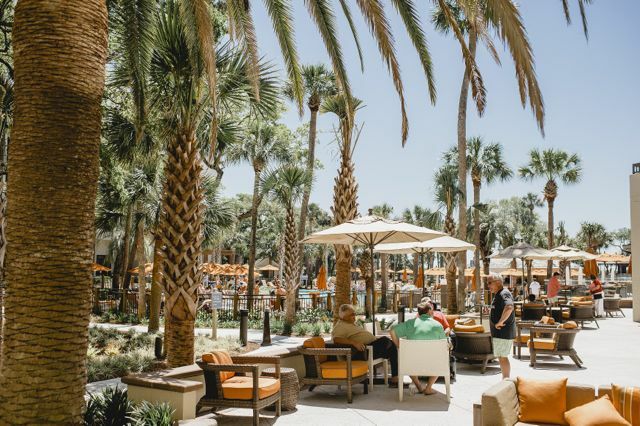 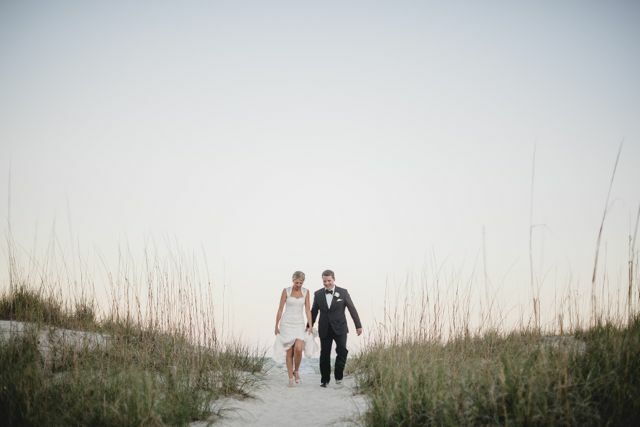 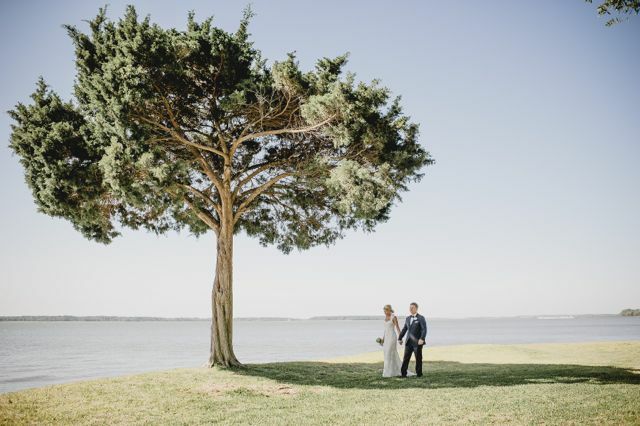 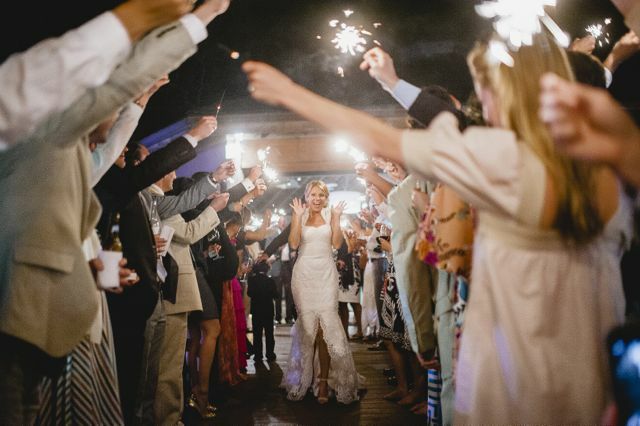 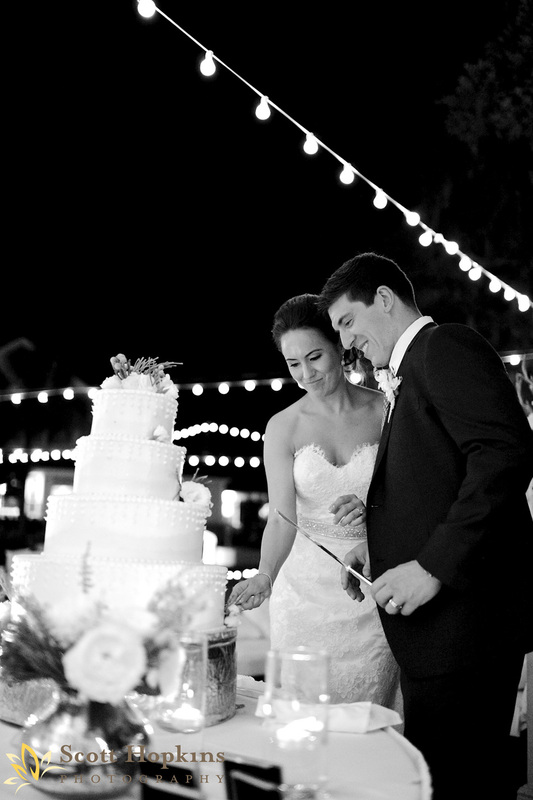 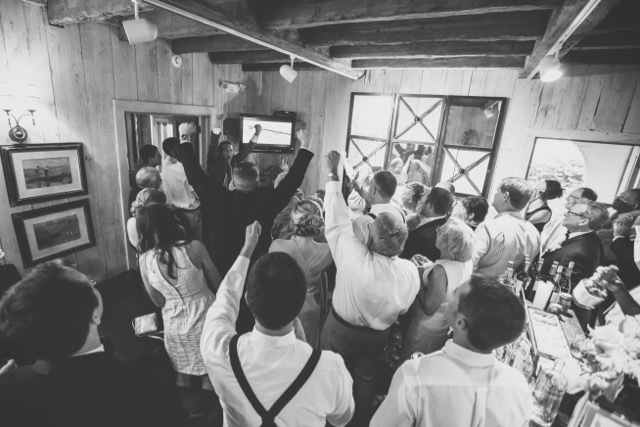 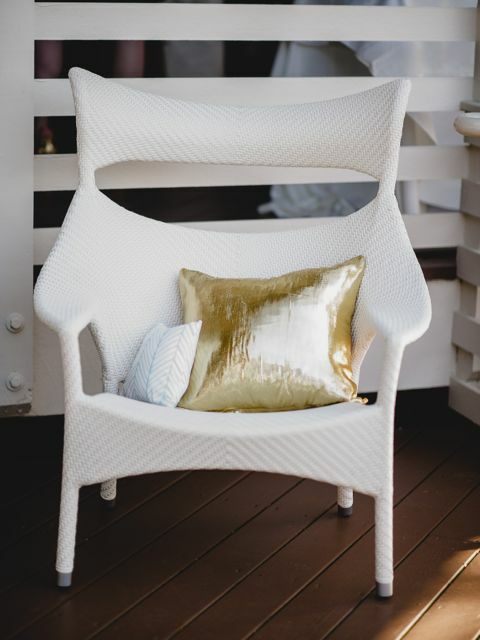 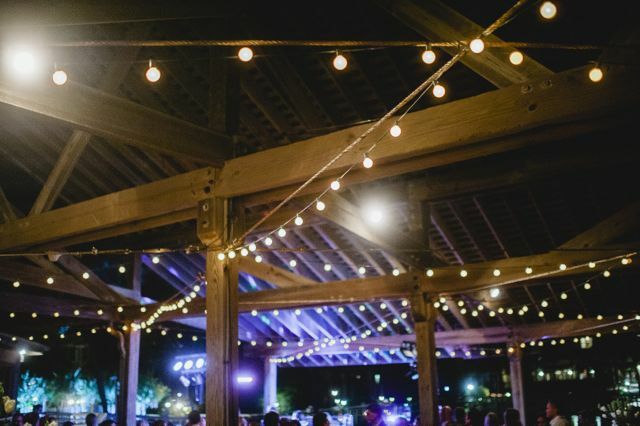 After the ceremony, guests proceeded to the Jack Nicklaus Clubhouse for cocktails, hors d’oeuvres and a sunset that will take your breath away. 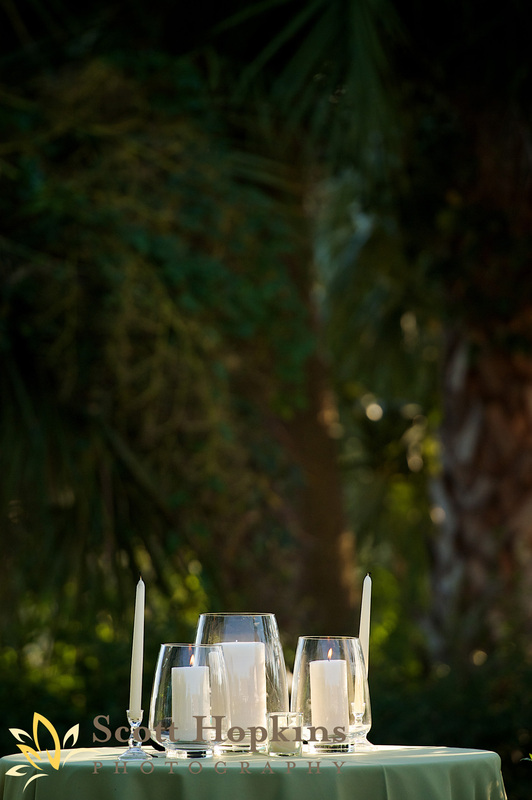 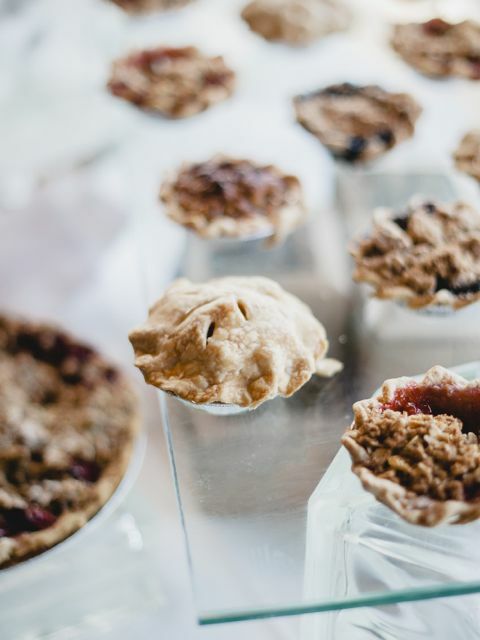 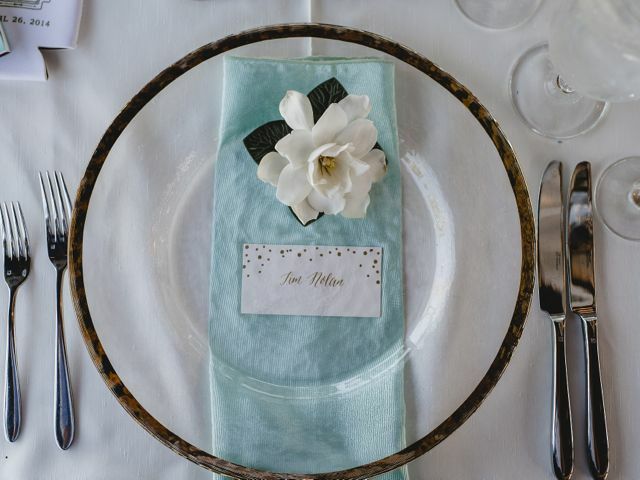 For dinner, guests were treated to a taste of the South during the 4 course plated dinner. 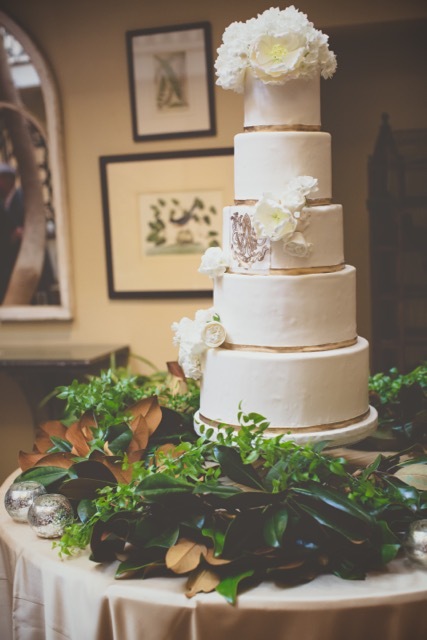 For dessert, Ashlee Perkins of Tier Luxury Cakes, created a cake that was as beautiful on the outside as it tasted on the inside. 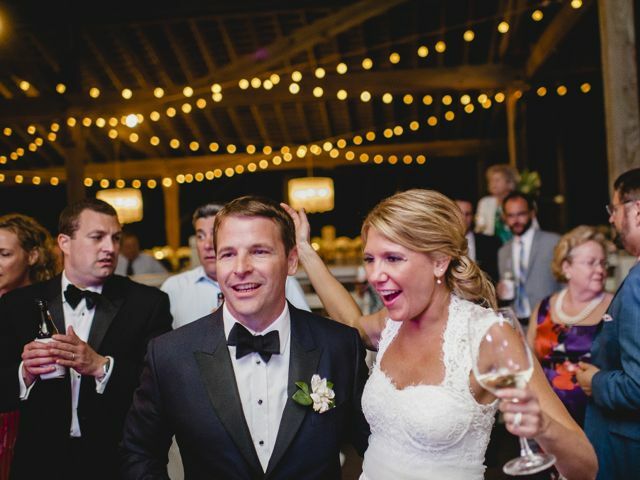 Guests danced the night away to the sounds of Momentum Party Band before seeing the bride and groom off in a vintage car with sparklers! 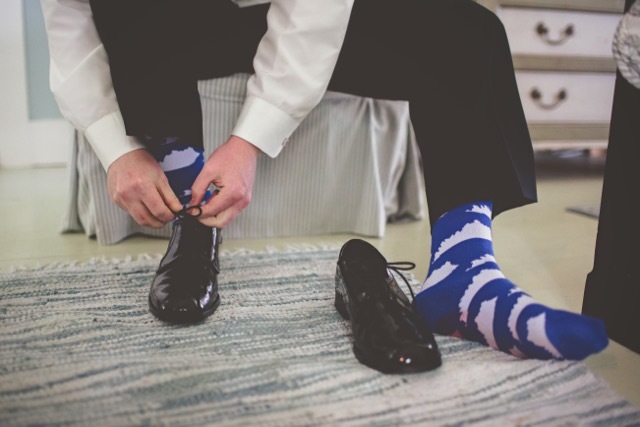 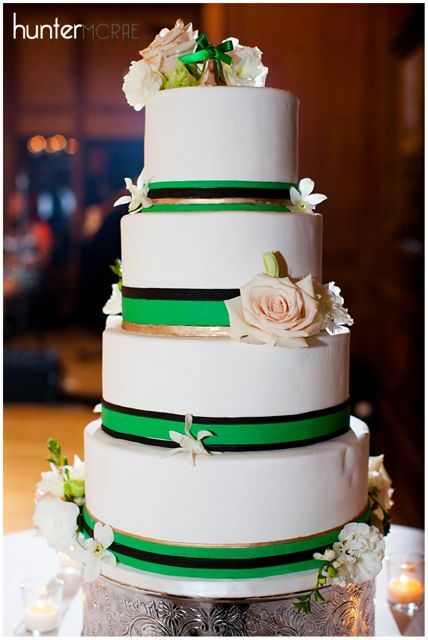 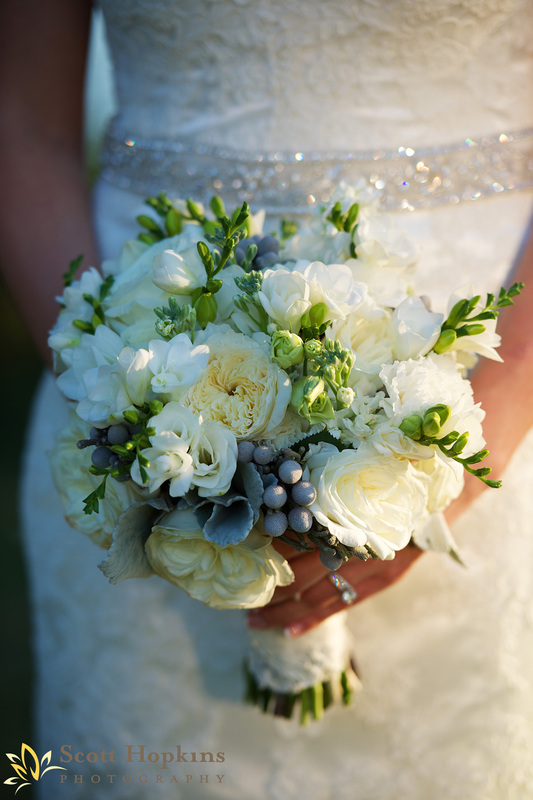 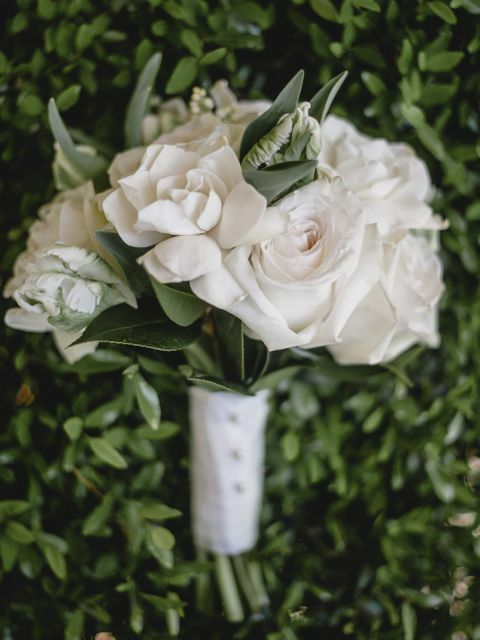 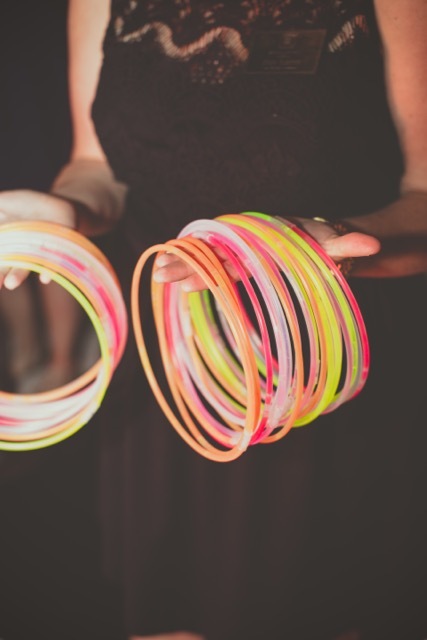 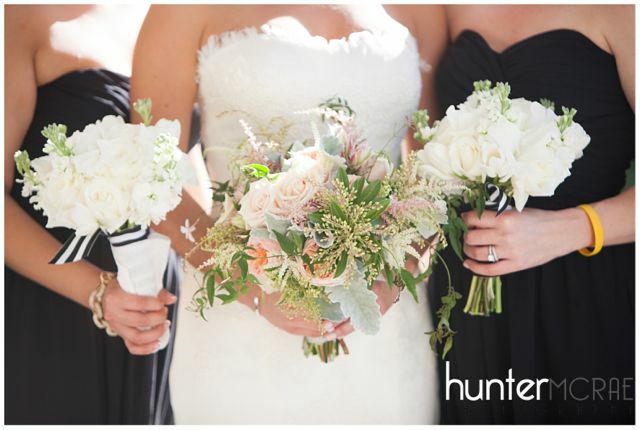 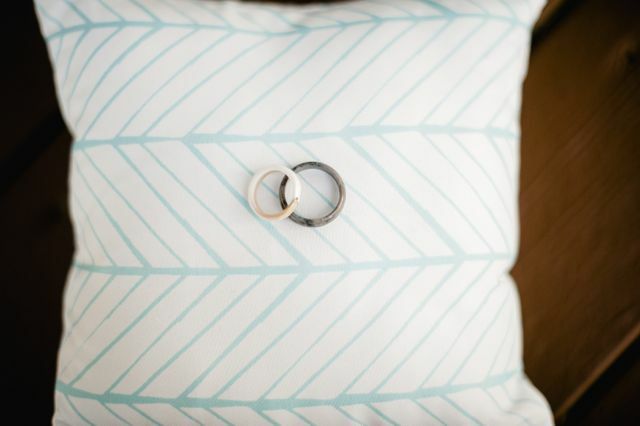 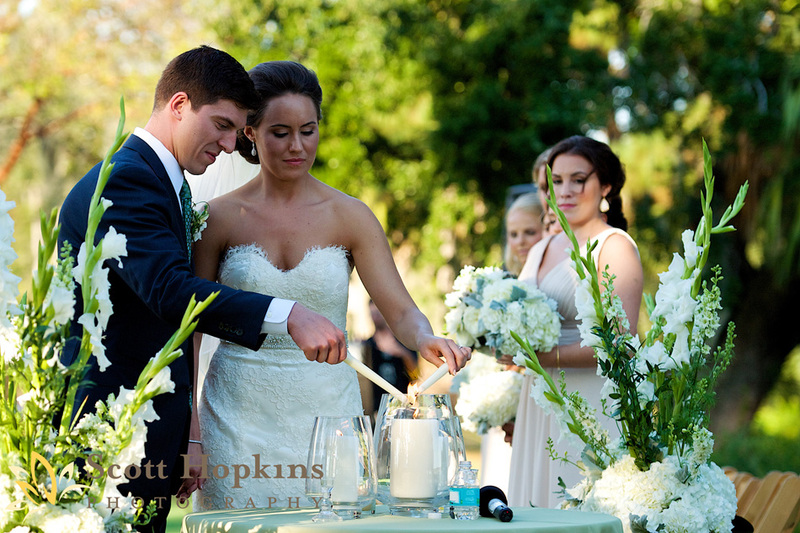 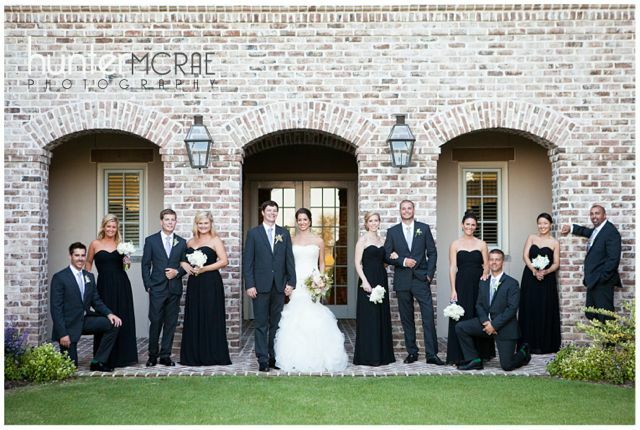 Liz and Scott’s wedding colors were black, emerald green and white. 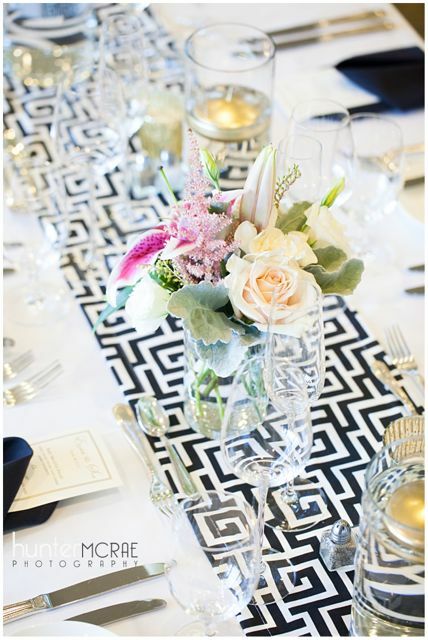 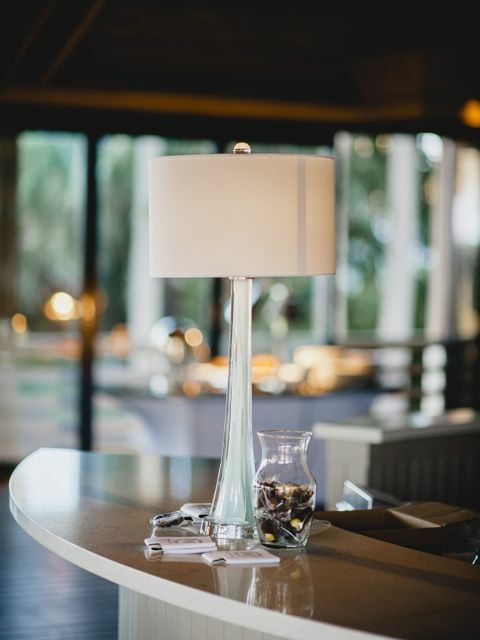 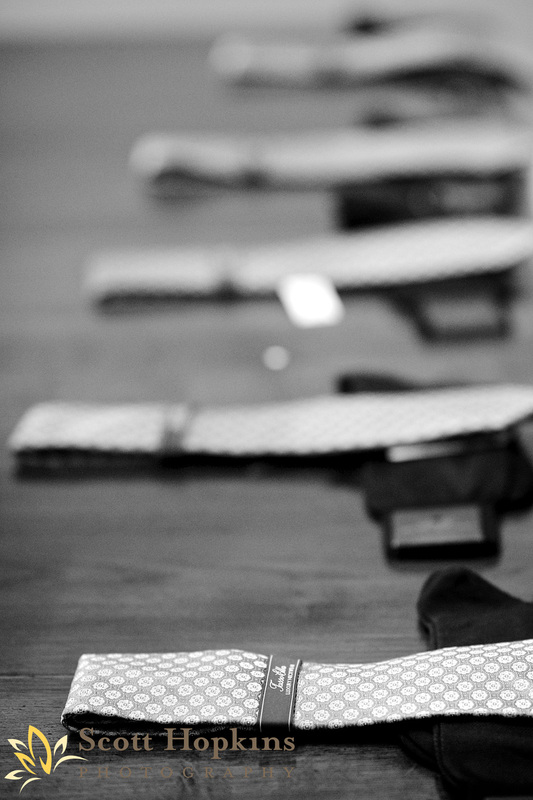 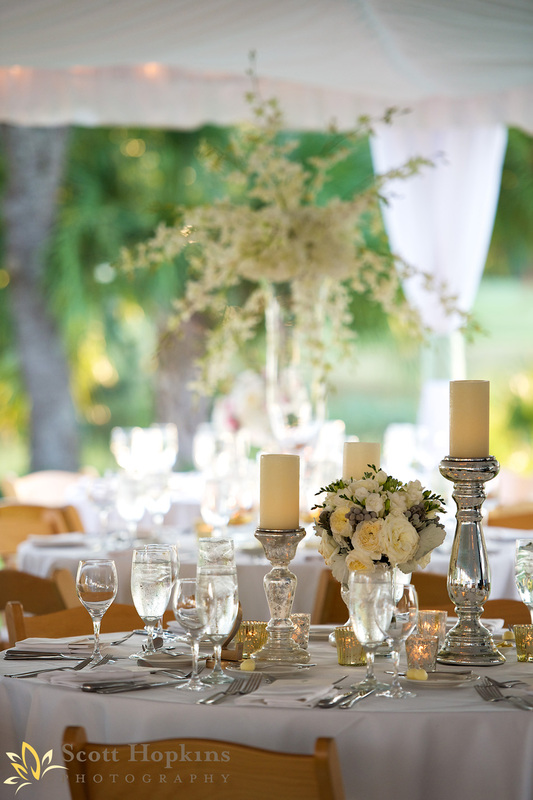 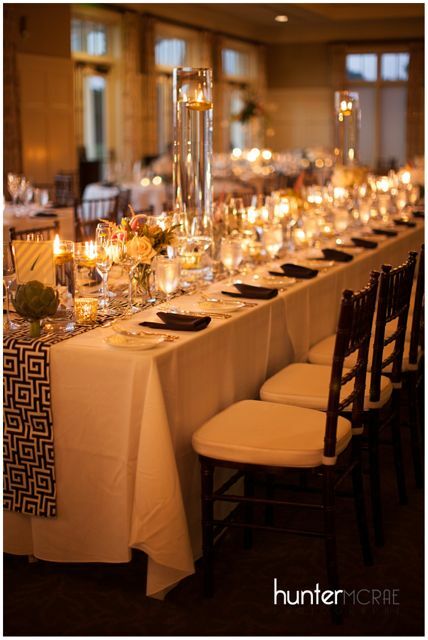 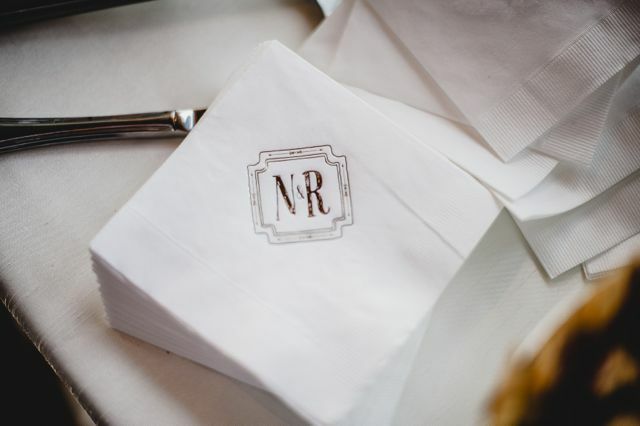 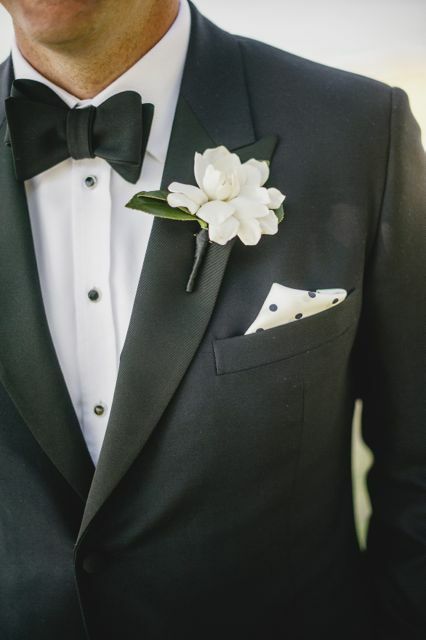 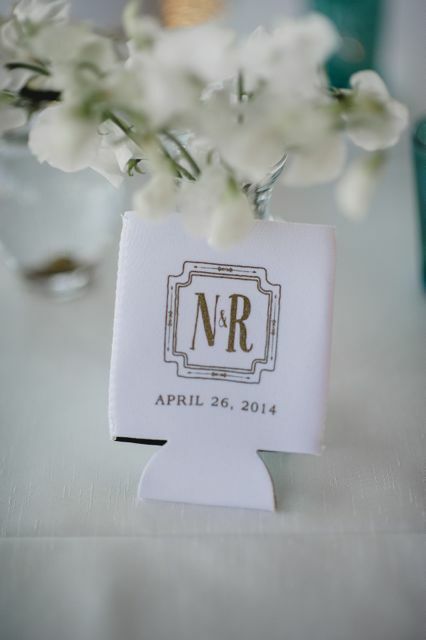 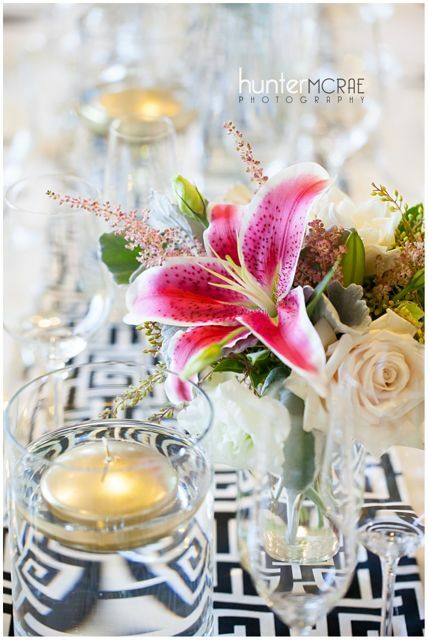 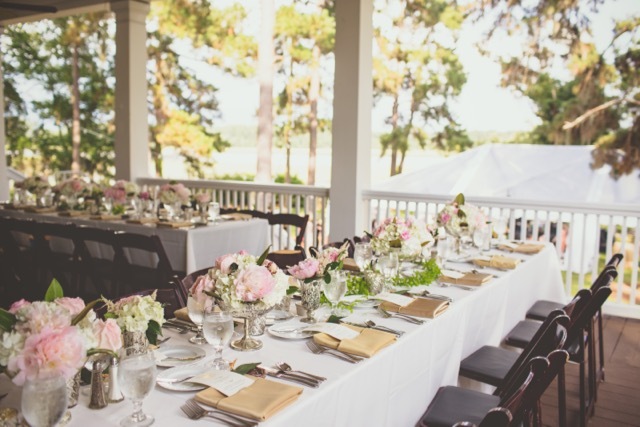 Black was incorporated into the attendant’s attire, the custom table runners and the accent linens. 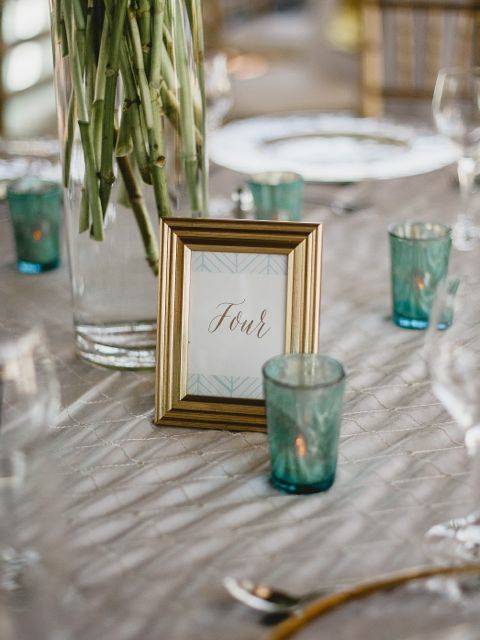 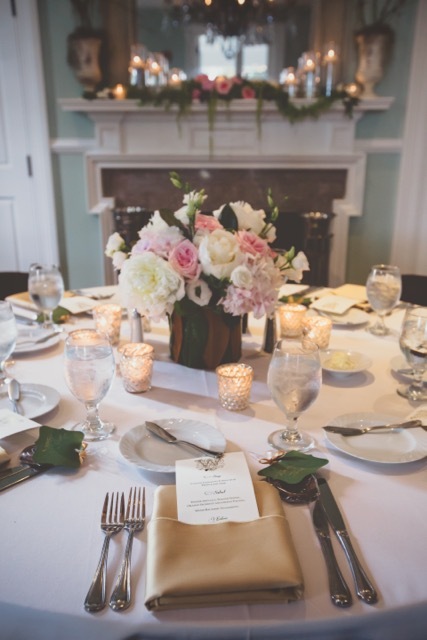 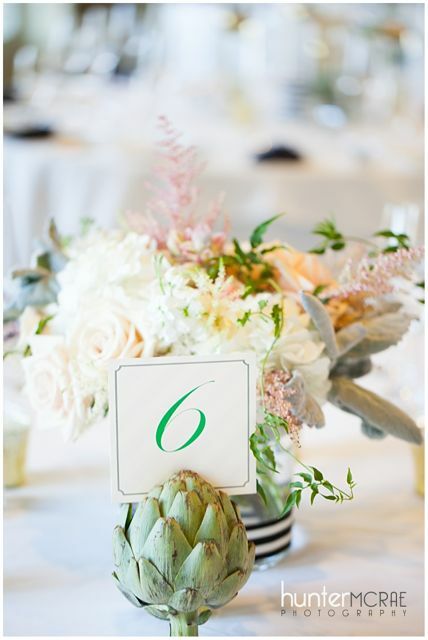 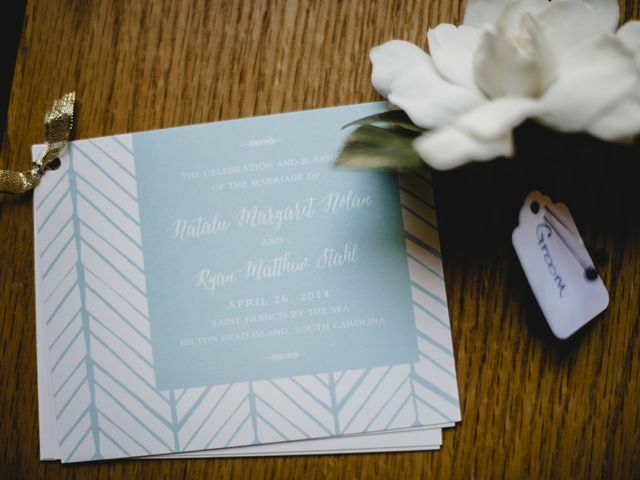 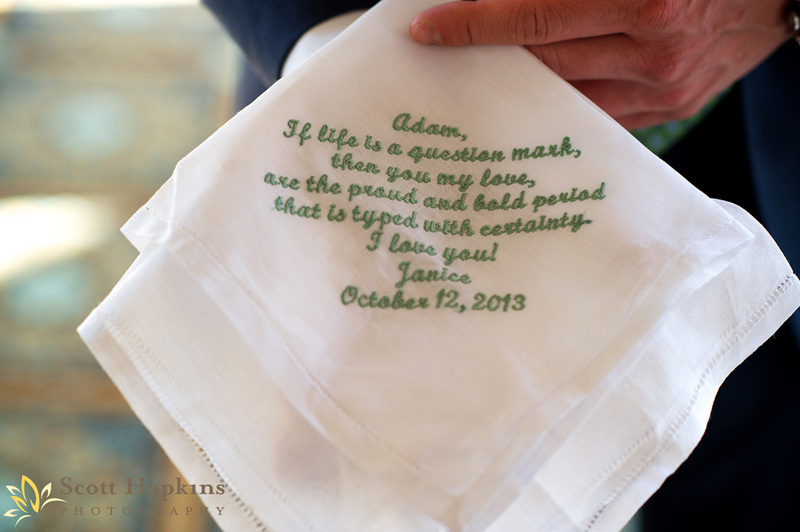 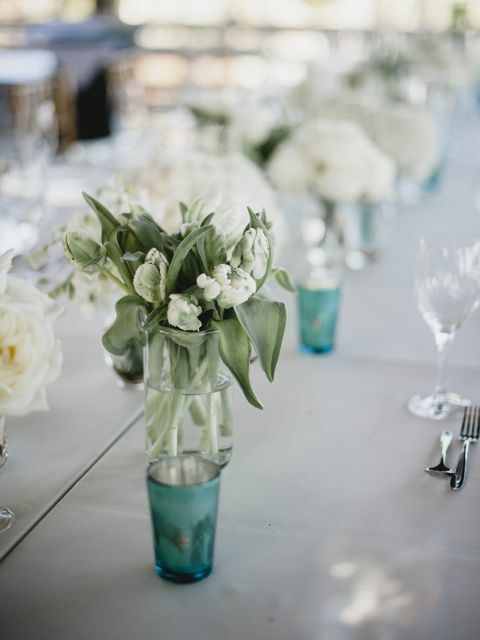 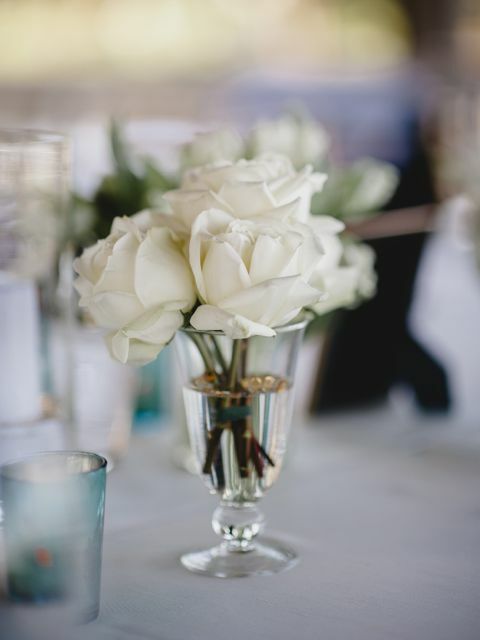 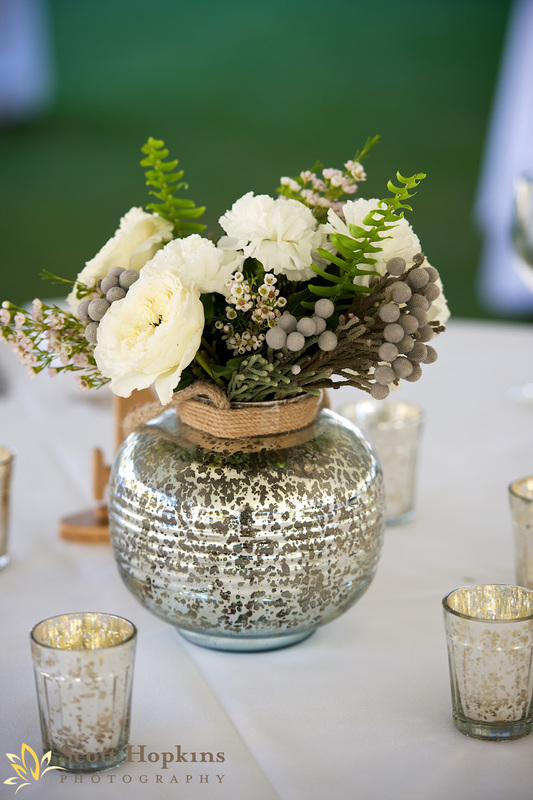 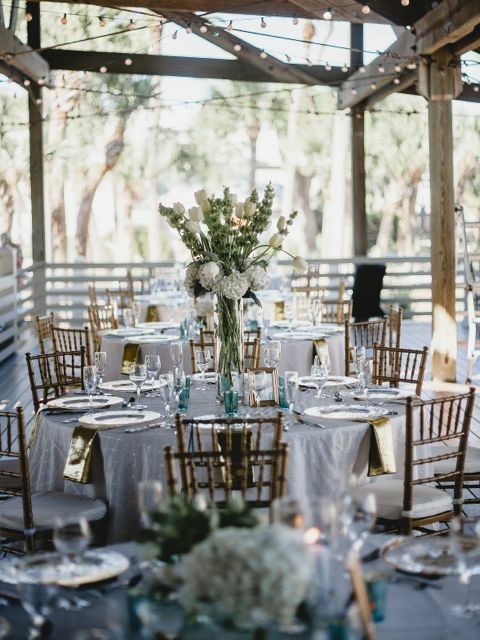 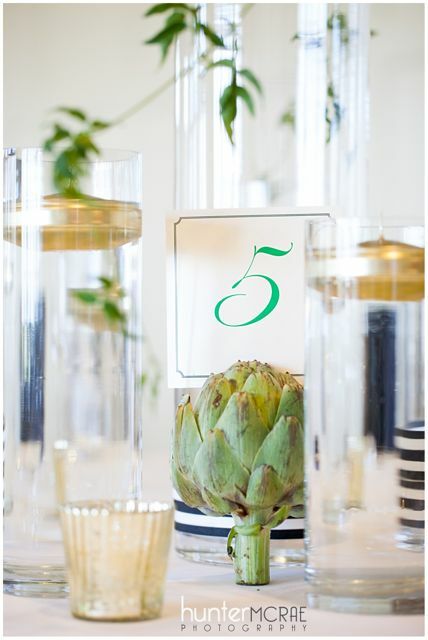 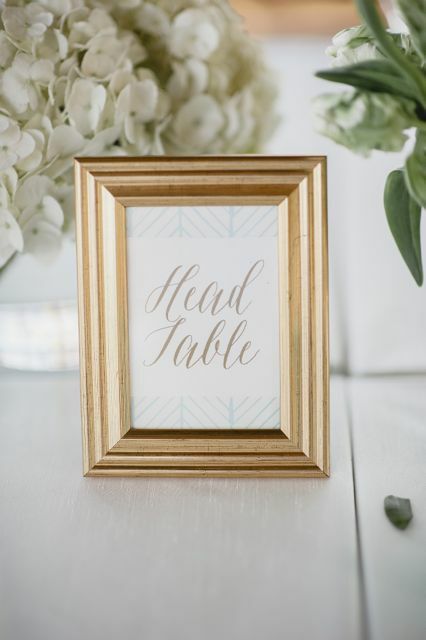 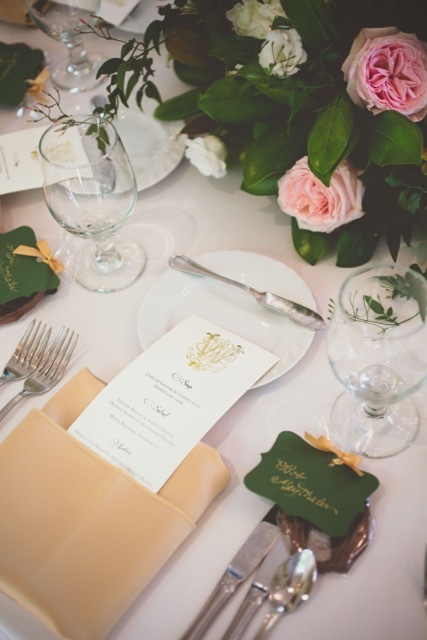 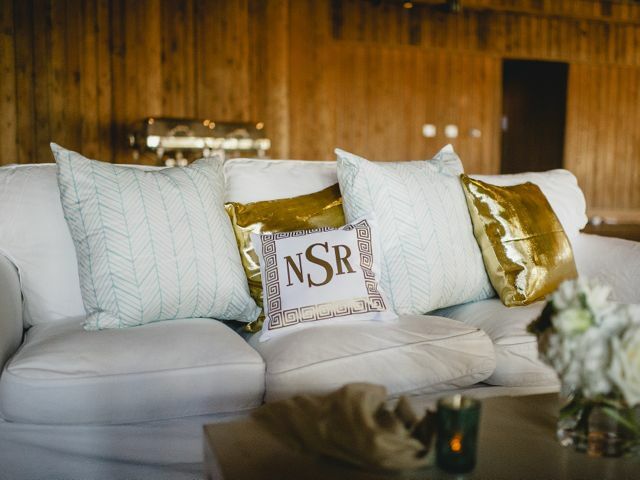 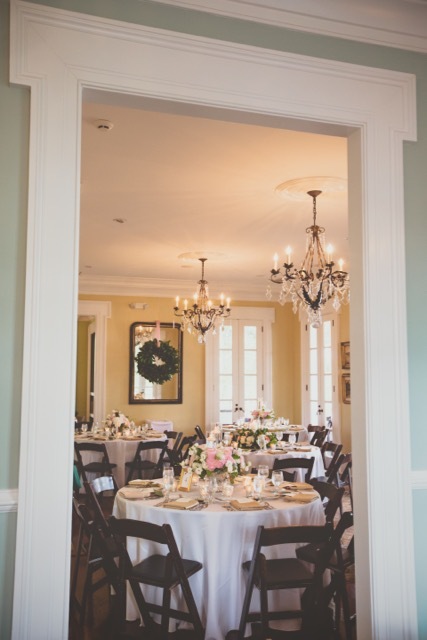 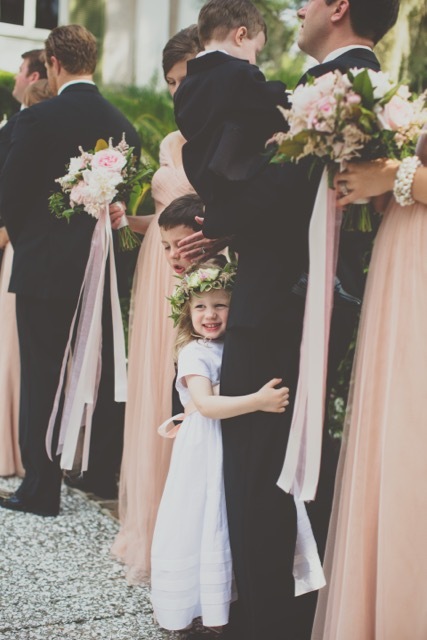 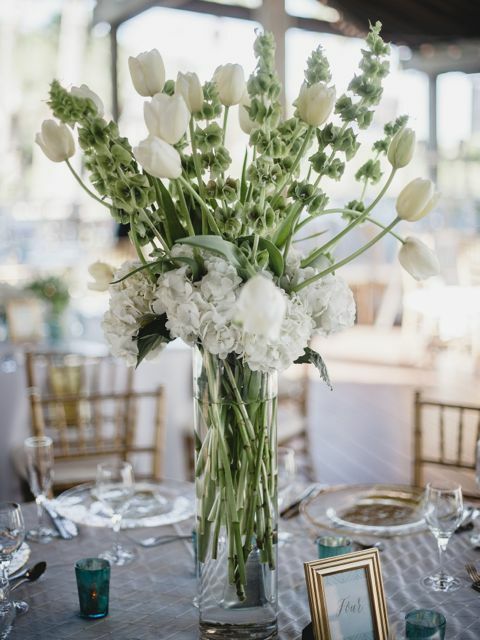 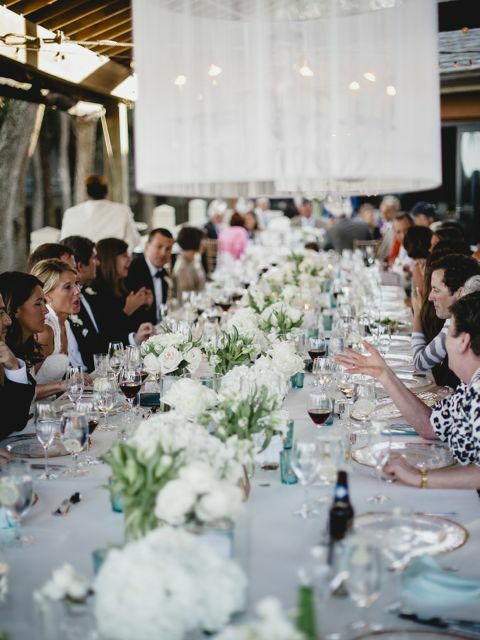 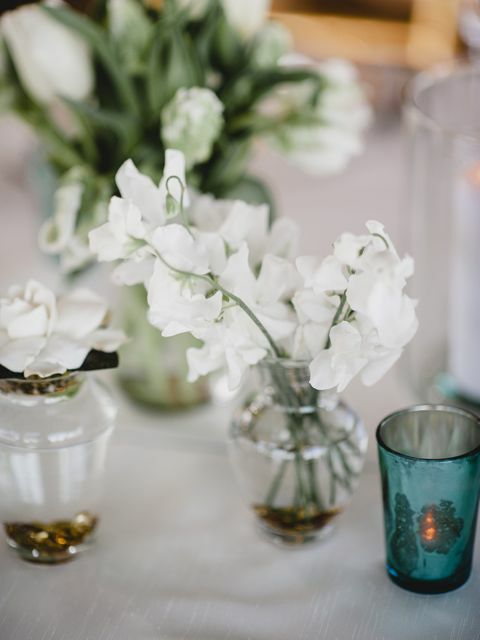 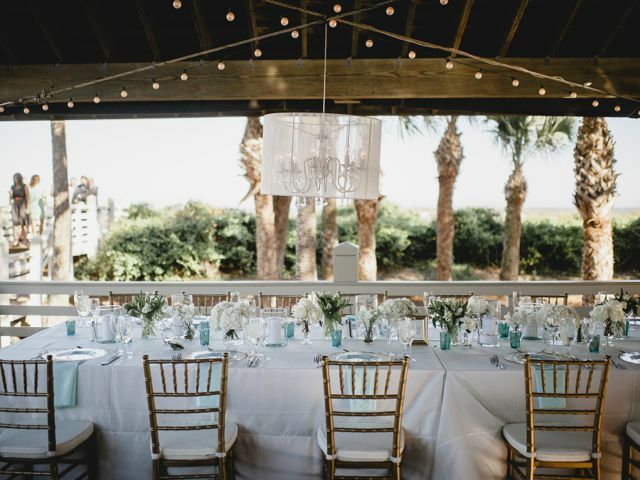 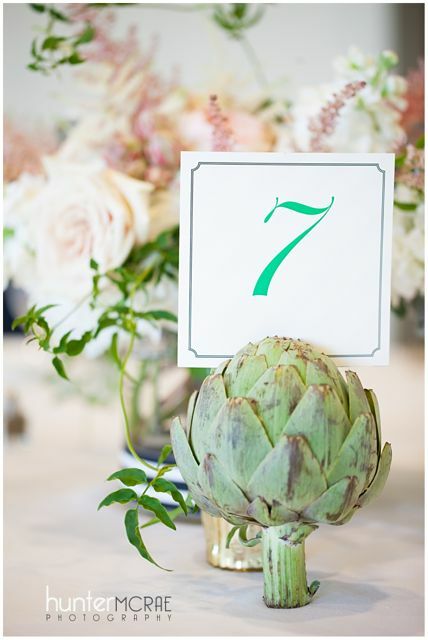 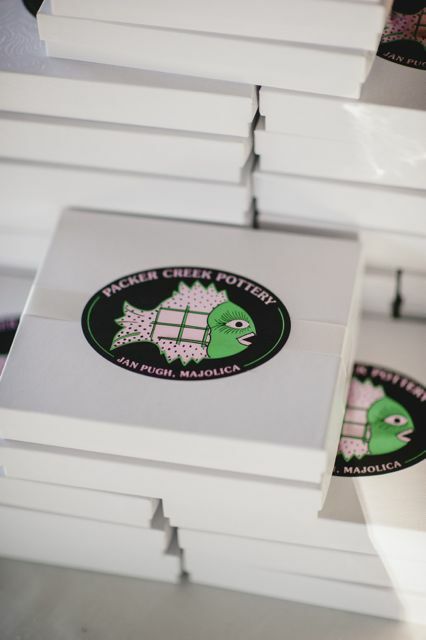 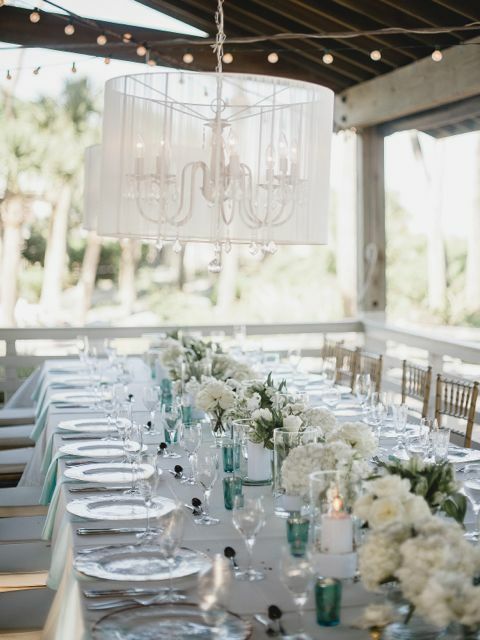 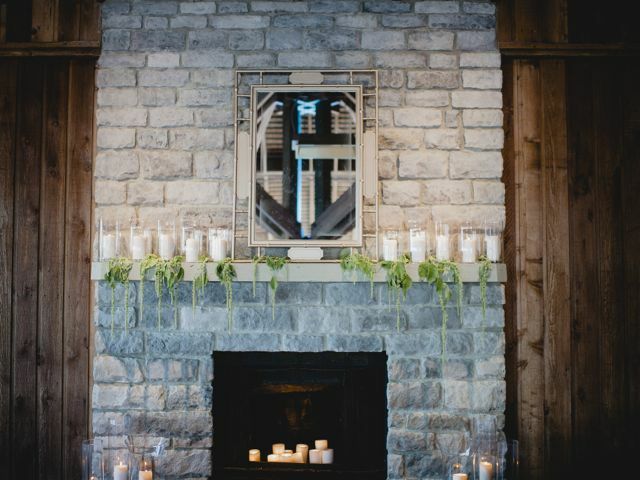 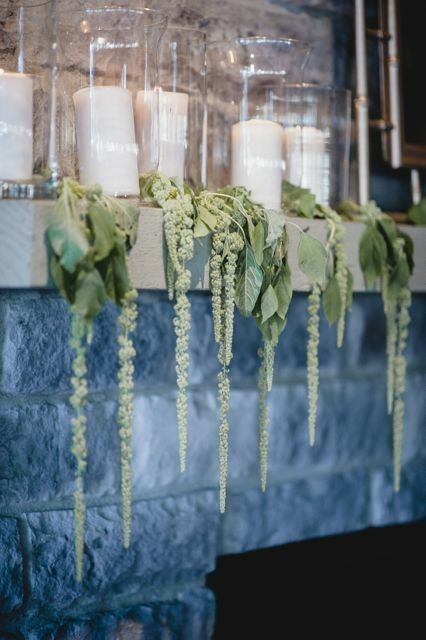 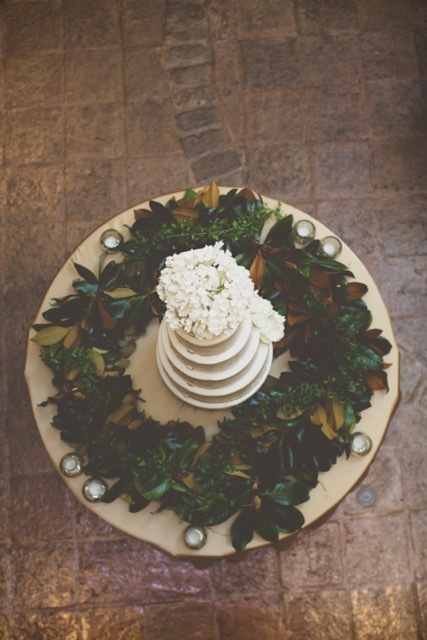 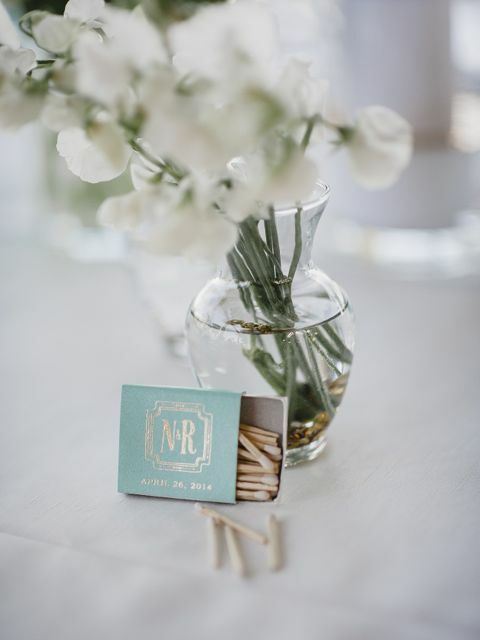 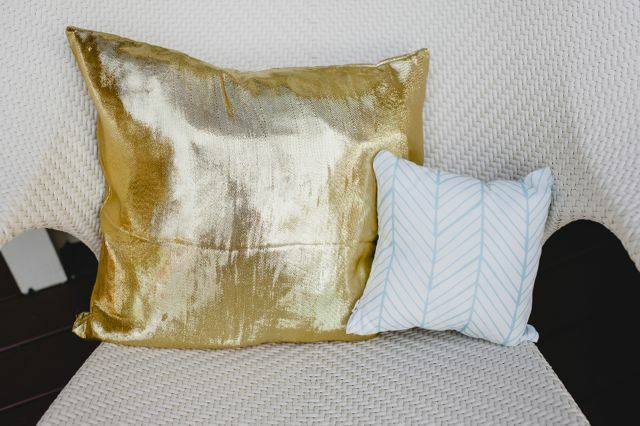 Emerald green was pulled in subtly through their custom stationery suite and artichoke accents. 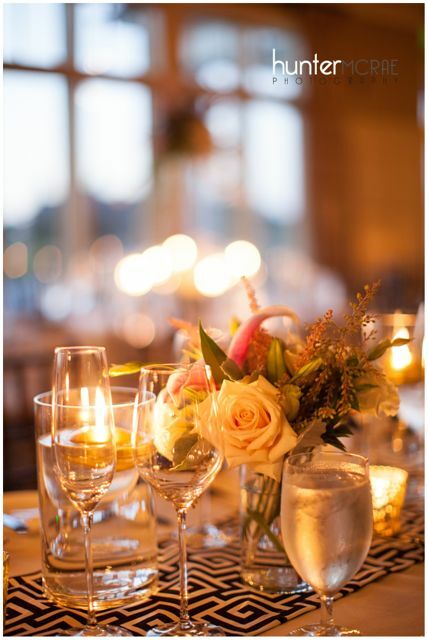 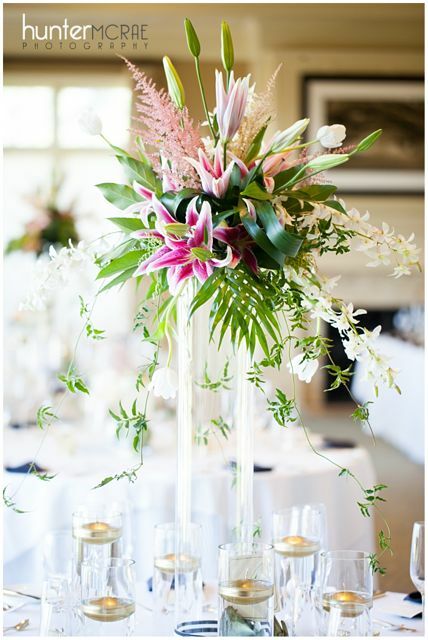 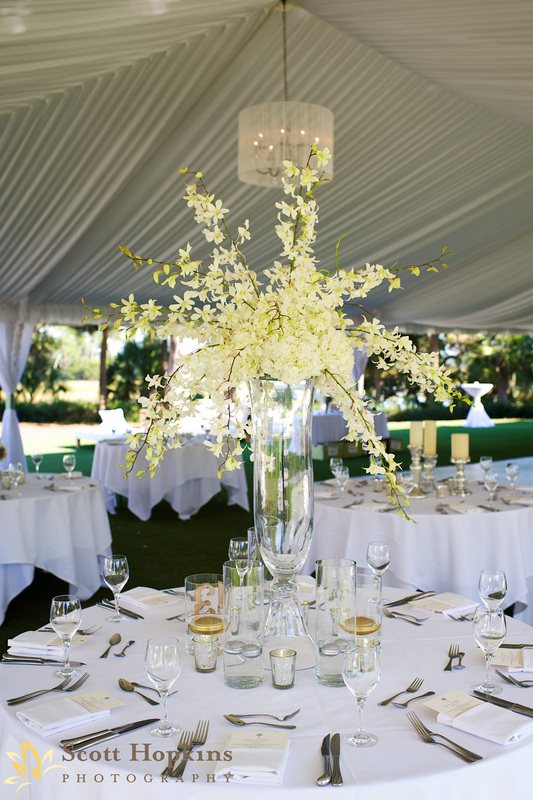 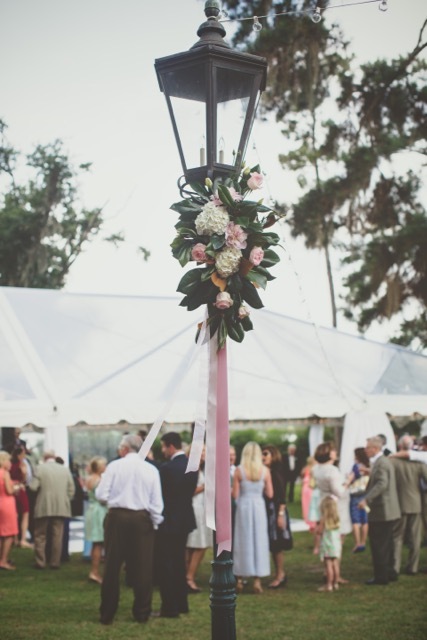 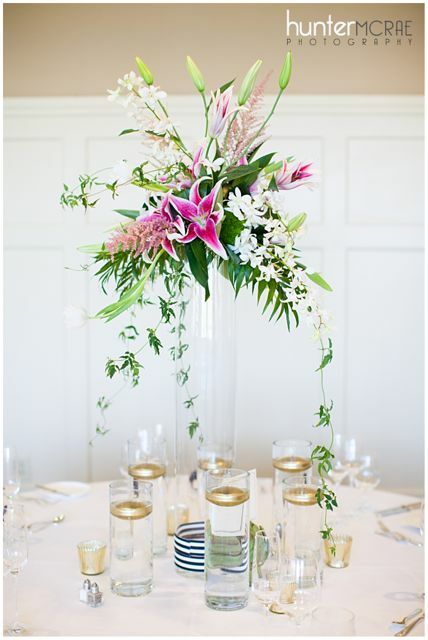 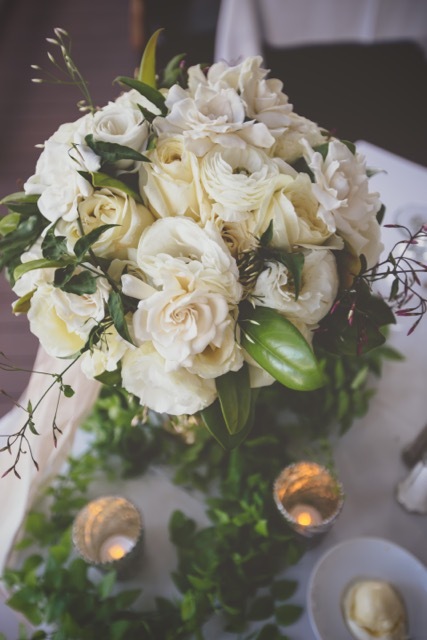 A Floral Affair graced the entire day with their breathtaking floral arrangements. 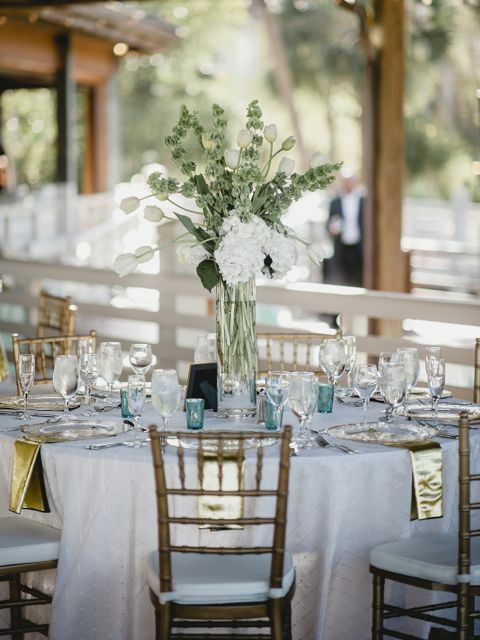 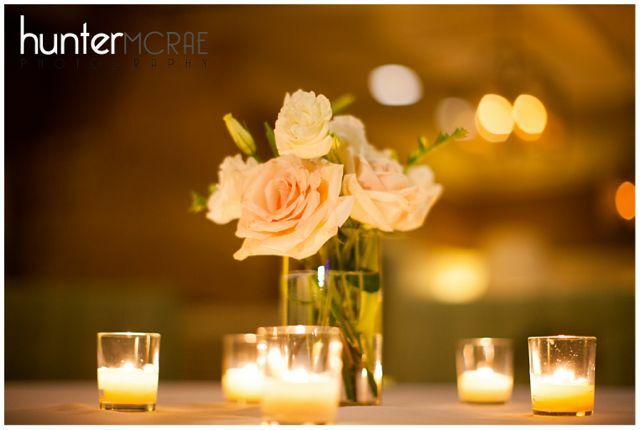 From the cross at the altar to the colorful centerpieces on the tables, every detail was laid perfectly in place by Dawn and her team. 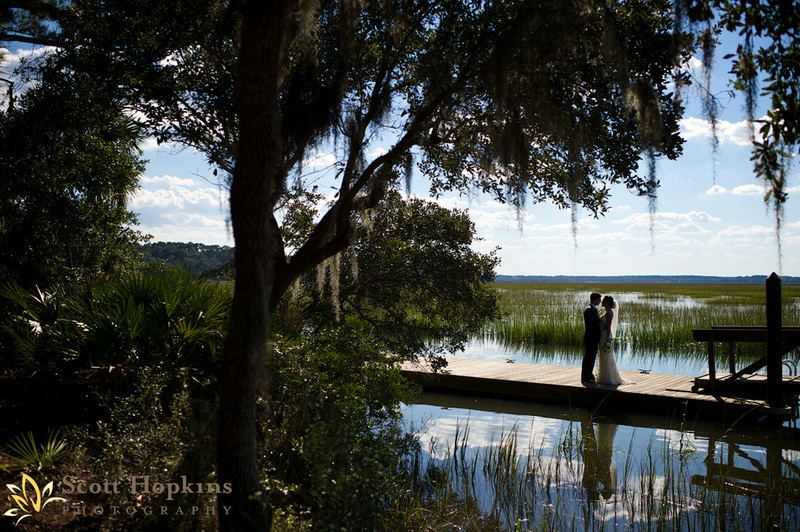 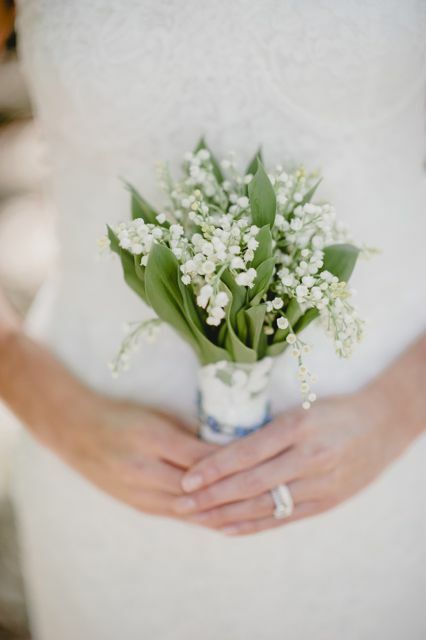 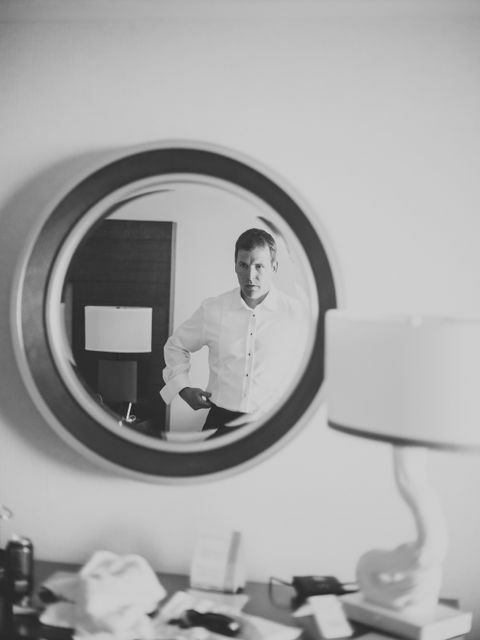 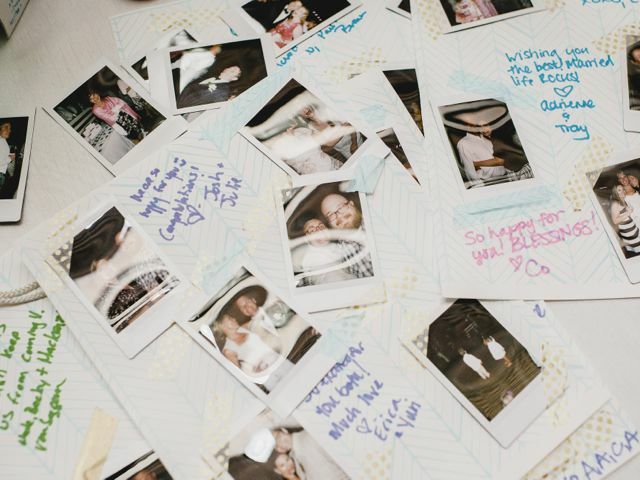 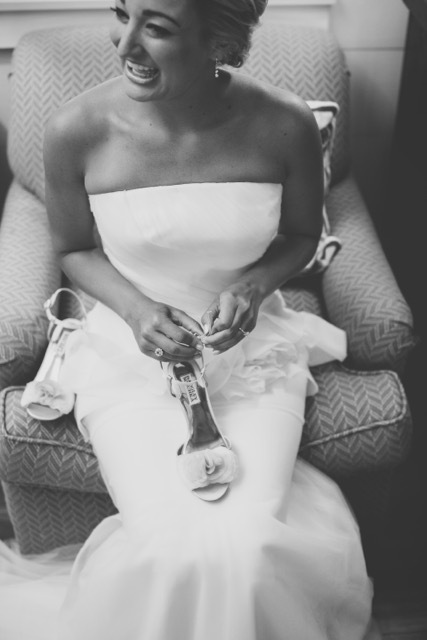 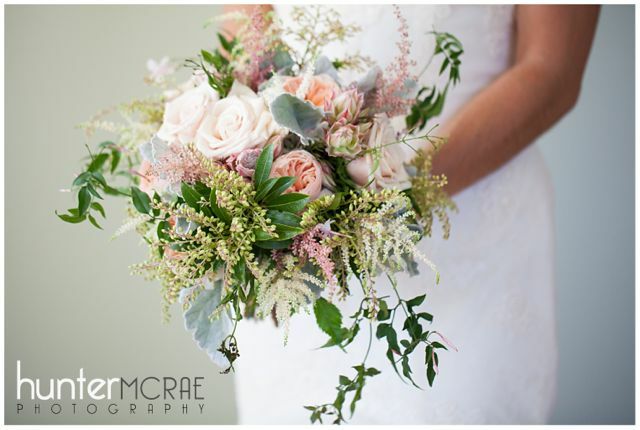 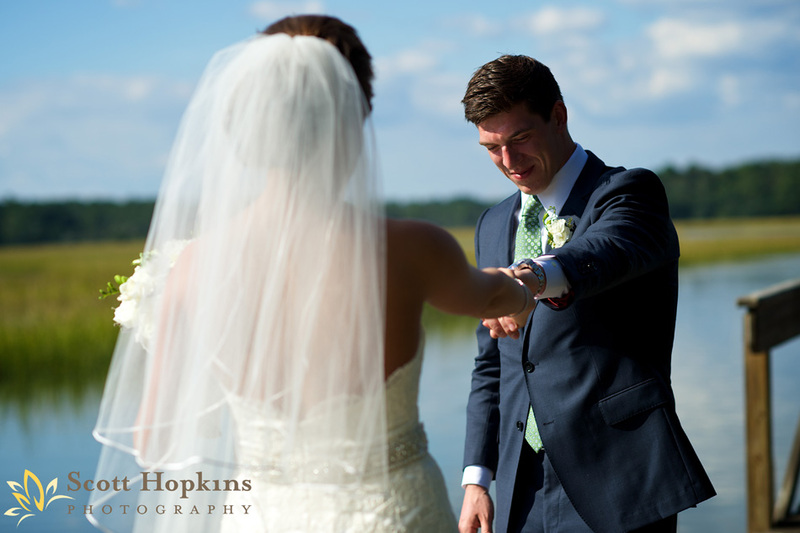 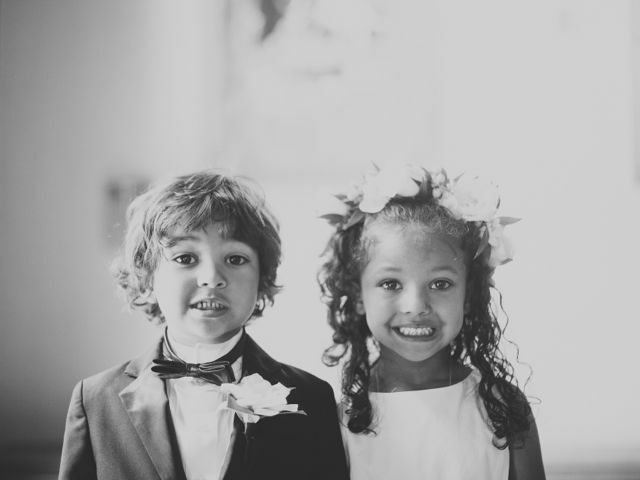 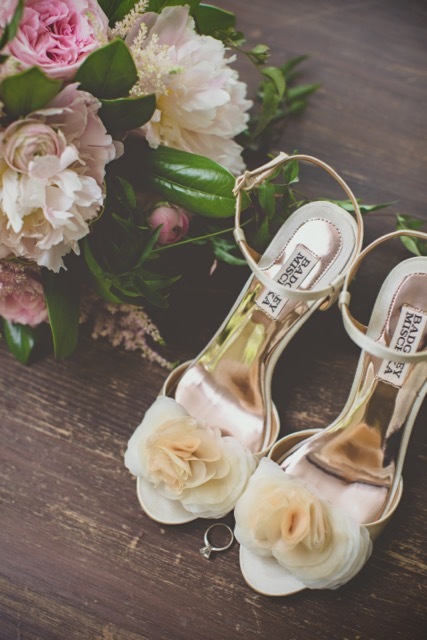 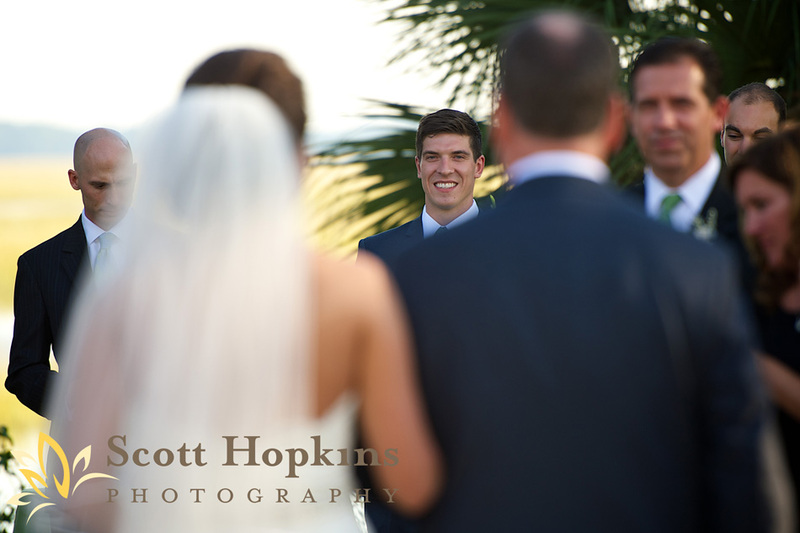 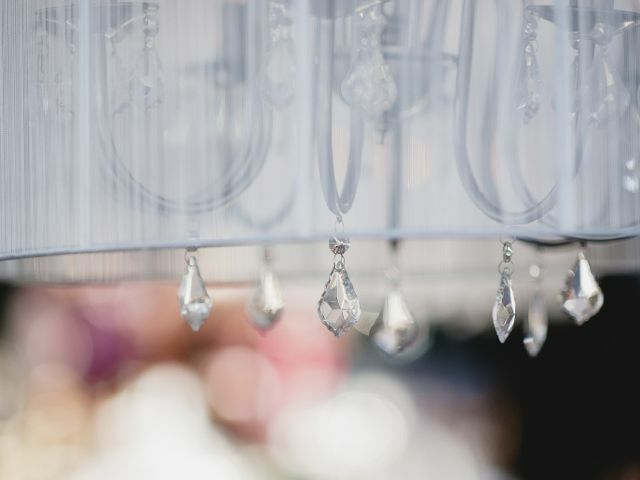 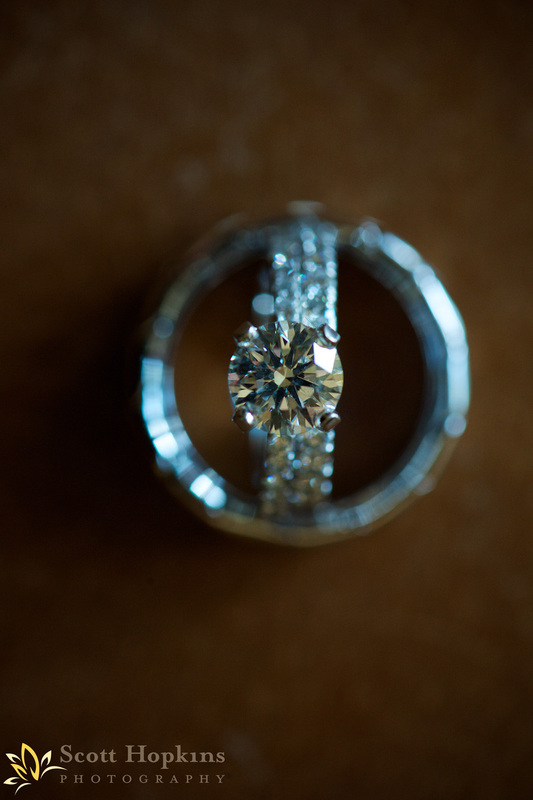 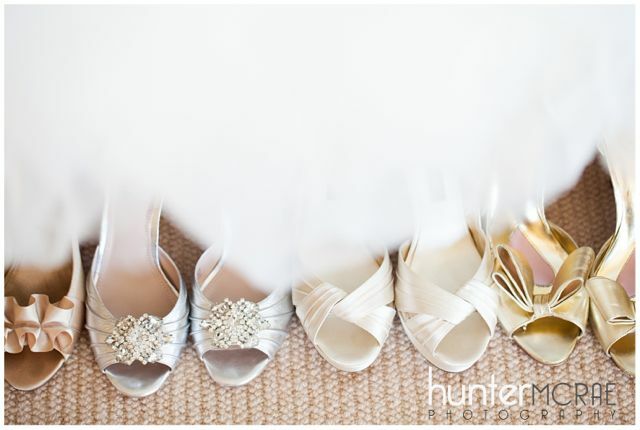 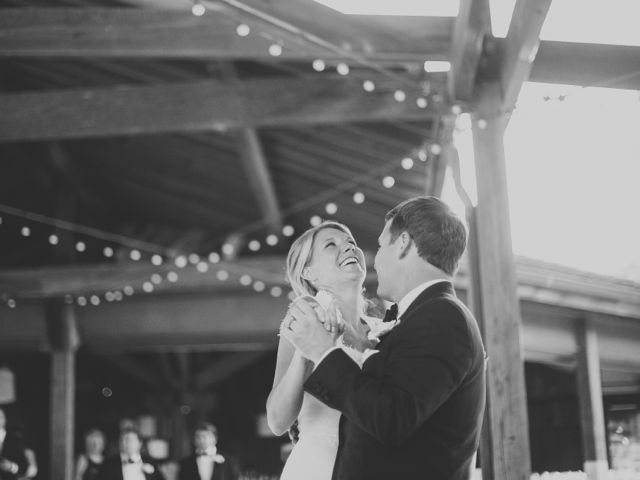 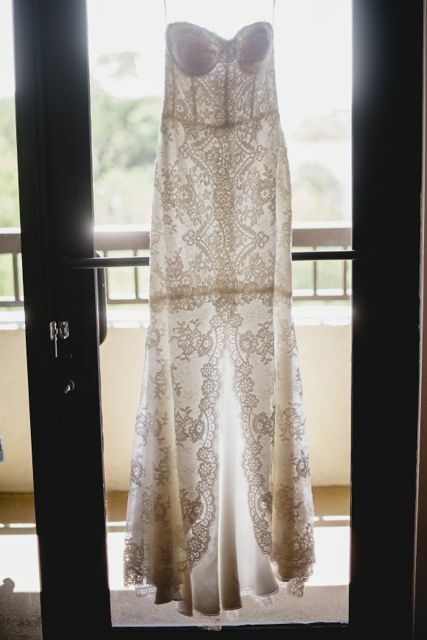 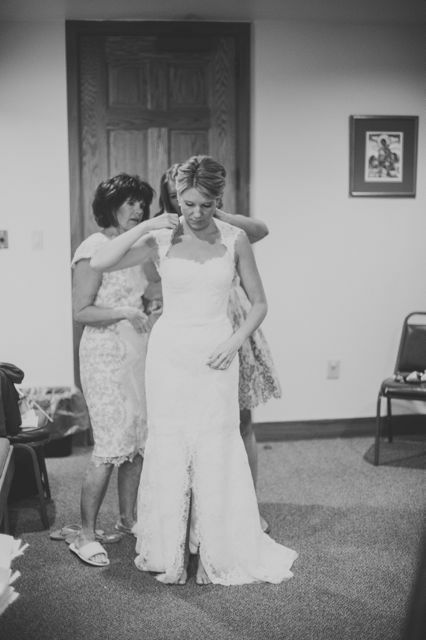 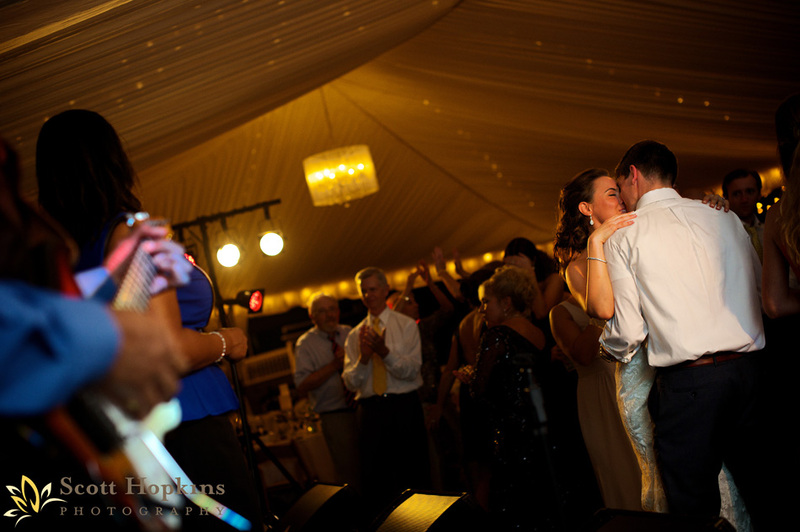 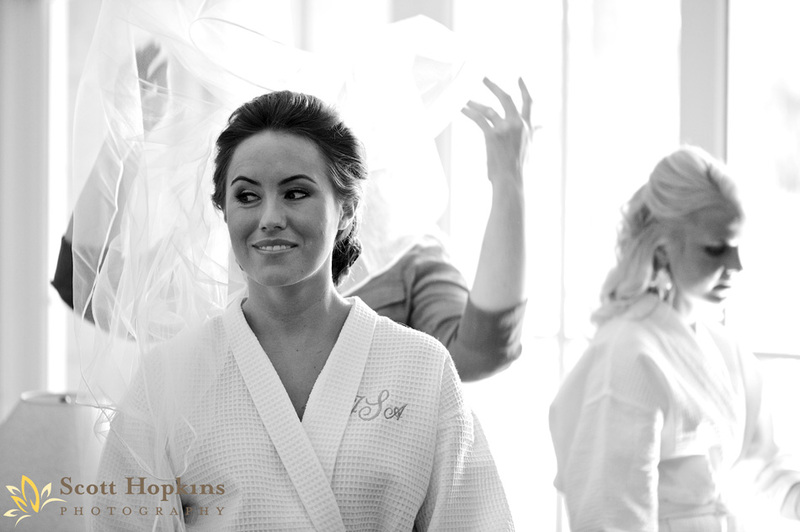 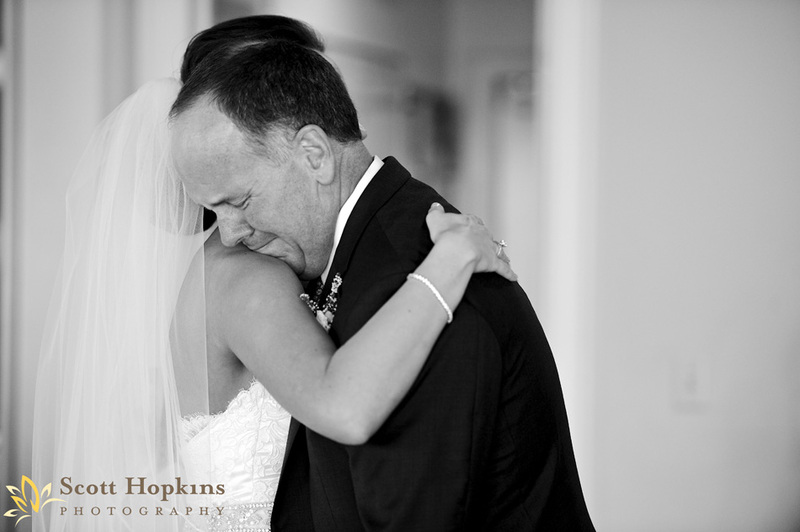 I am so excited to share these images with you from Liz and Scott’s very special day. 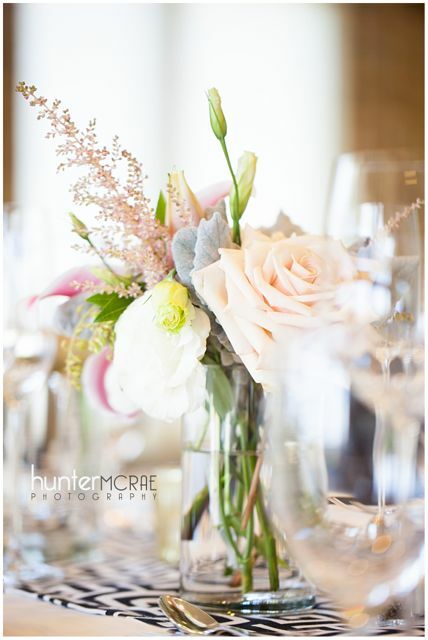 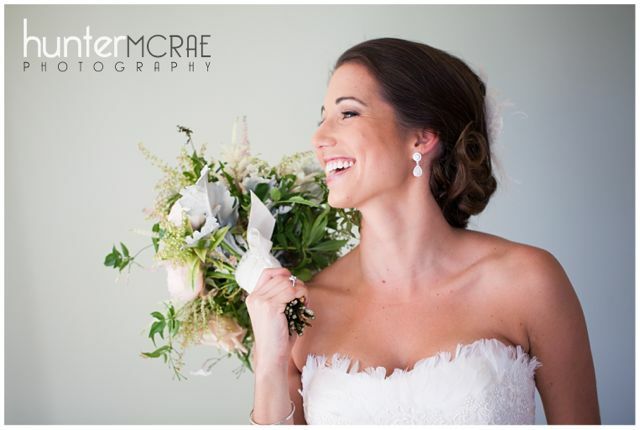 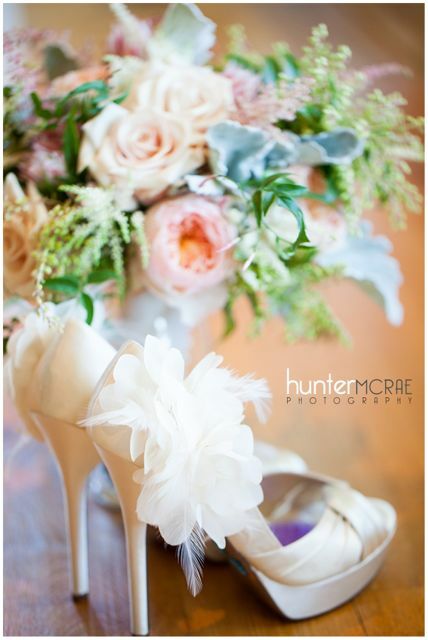 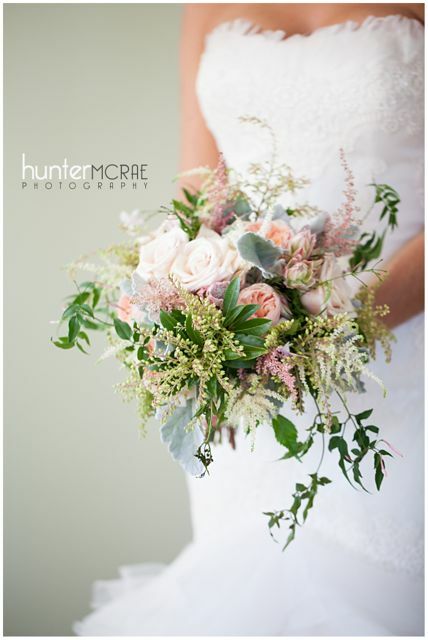 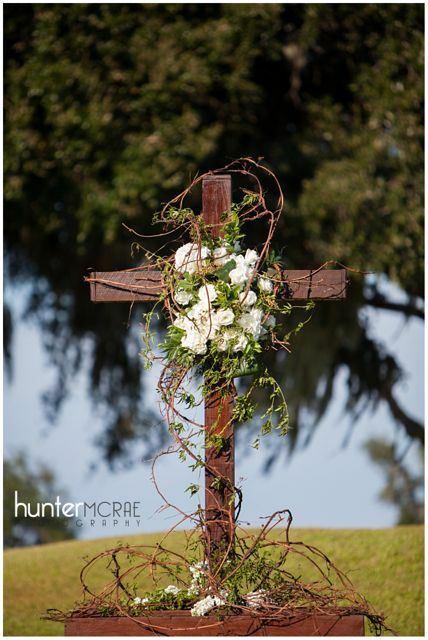 Hunter McRae Photography has once again taken my breath away with her talented photography skills.